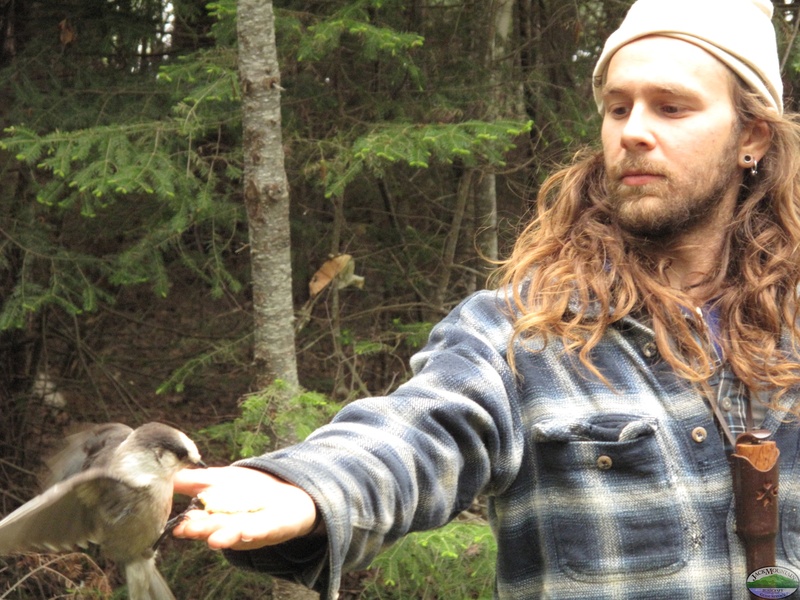 “Yes, you learn the living and travel skills of the boreal forest. 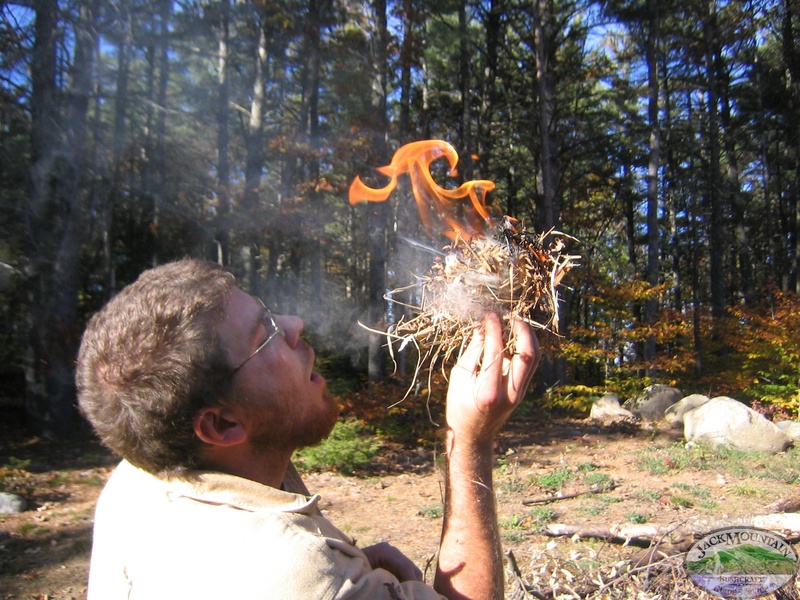 The Wilderness Bushcraft Semester is our flagship course, and our most popular. 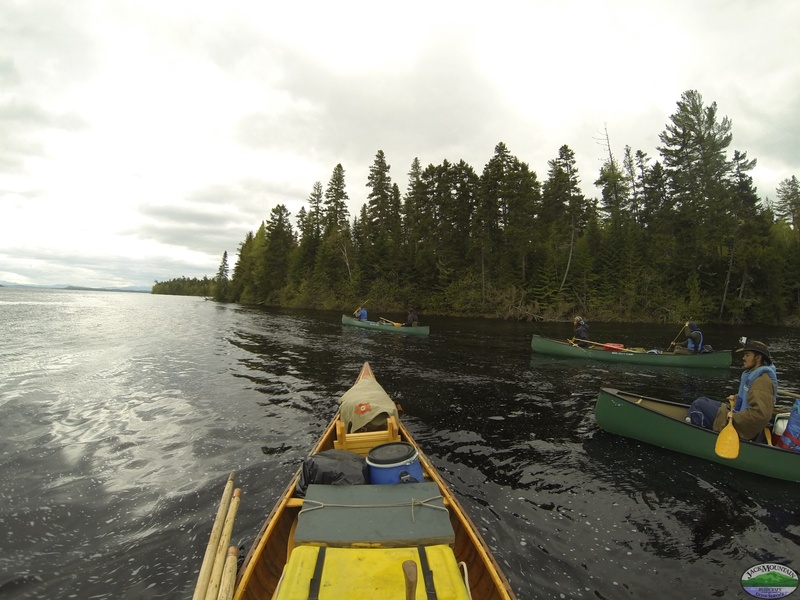 It’s a college level, residential course focusing on the practical, hard skills of living and traveling in the boreal forest. For 99% of human history what we teach has been the core knowledge of our species. 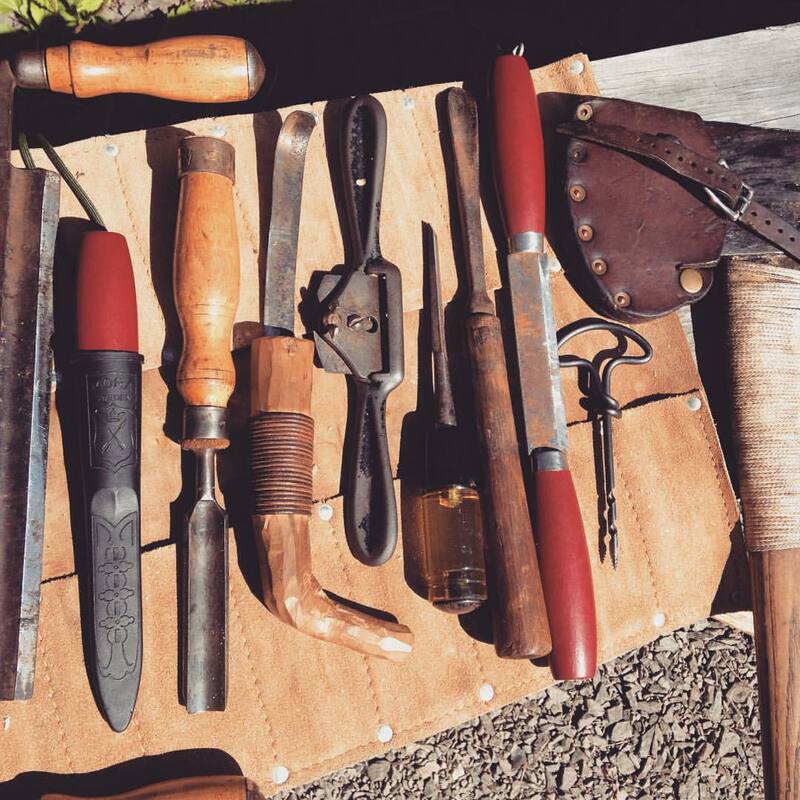 During the semester we live it every day, focusing on the tangible, practical skills that make up the tool kit of the professional guide and instructor. 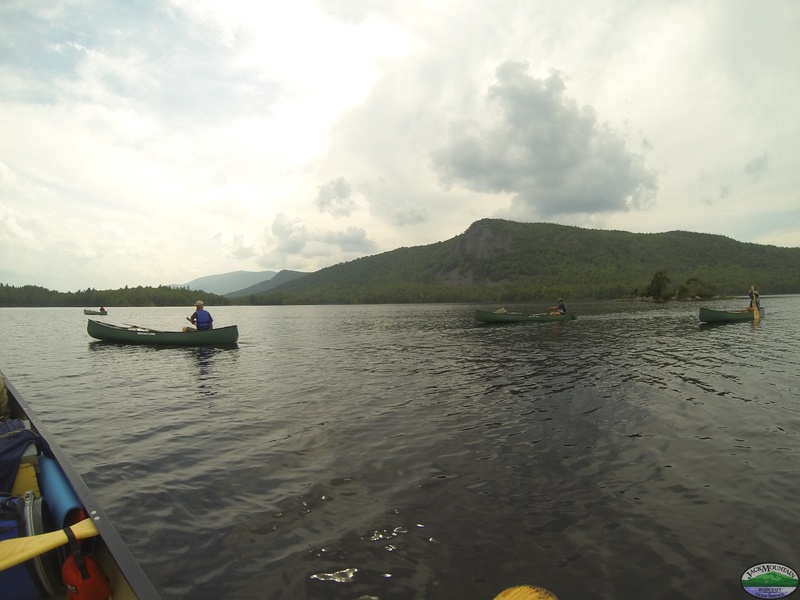 Our experience running long-term immersion programs is unmatched. As this field explodes with new schools and instructors, we’ve got 20 years and 45 long-term immersion programs behind us. Experience matters. Our programs and methods are based on our extensive experience, not untested theories. No other school has our level of experience. No school has been doing it longer. No school has run as many long-term programs. There is a lot of information about the program on this page, but it’s important to consider what’s not on it. You won’t find anything on the smells of the northern forest after a rain. 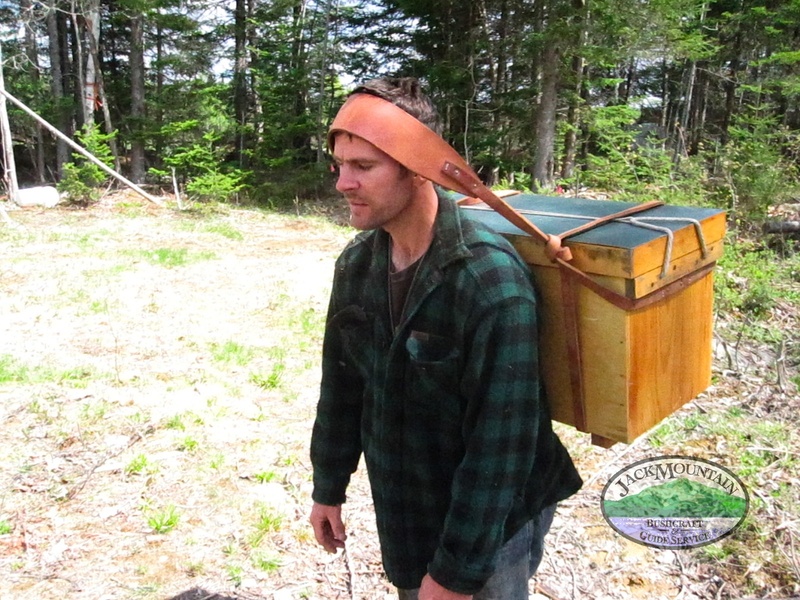 You won’t read about how difficult and physically strenuous some of the things we do are. You won’t get a sense of the kinship or camaraderie that builds during a course. And you won’t understand the sense of accomplishment upon completing it. To get these things, you have to do it. 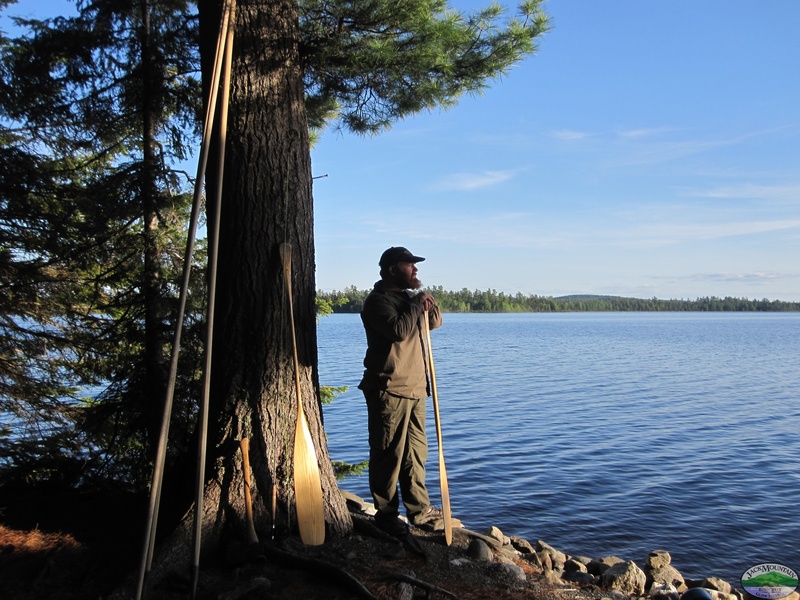 We call our course an immersion program because for the entire experience you live in the woods at our 61 acre field school in northern Maine. You also spend 2-3 of the 9 weeks on remote trips a long way from cell-coverage. The lessons learned are reinforced every day as part of the lifestyle. 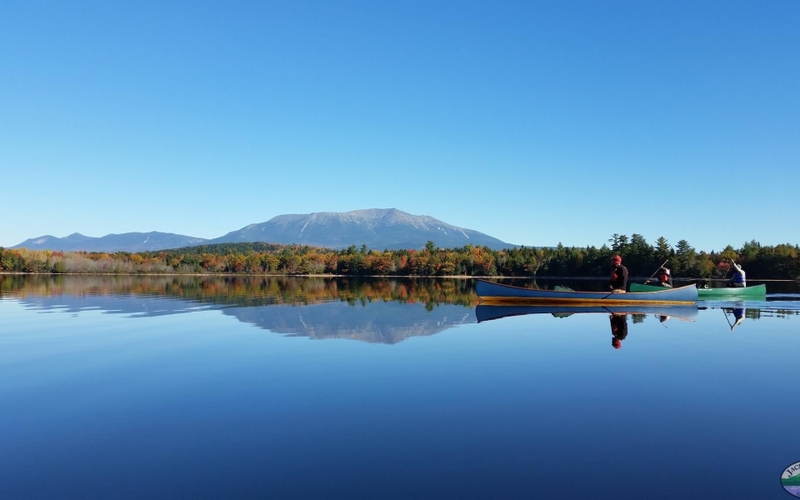 There are other programs that also describe themselves as immersion programs, but they meet one weekend per month, or for six hours per day, three days per week. This seems a bit disingenuous to us and more like a part-time program. 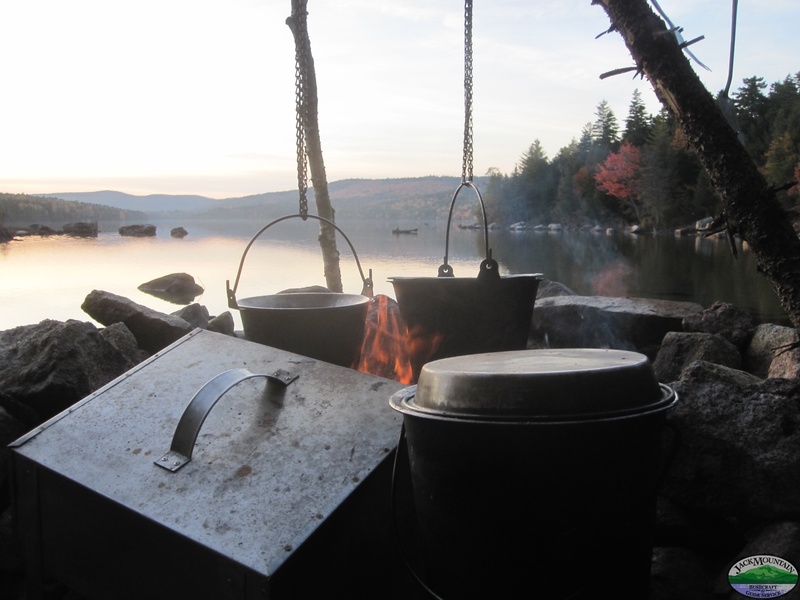 It’s simply a different experience cooking every meal for 9 weeks over a fire than living in an apartment and packing a lunch. They’re probably great programs with valuable lessons to teach, but they’re fundamentally different from us in what they try to achieve and how they go about it. We’re all about the experience, and it’s that experience that sets our program apart from the others. Think about it like learning a language (because that’s really what it is); are you more likely to learn, absorb and retain it if you studied it three days a week for 6 hours, or if you lived it 24 hours a day, 7 days a week? Pretty simple when put this way, right? 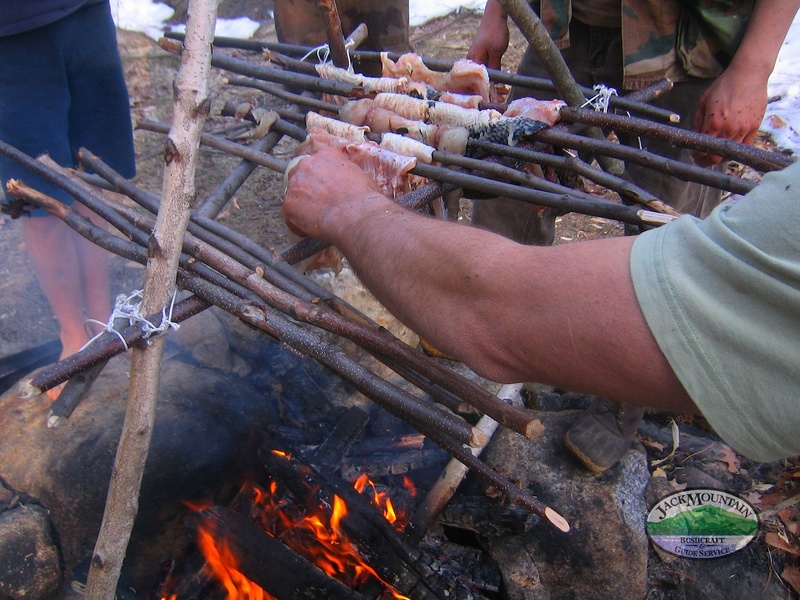 Bushcraft. 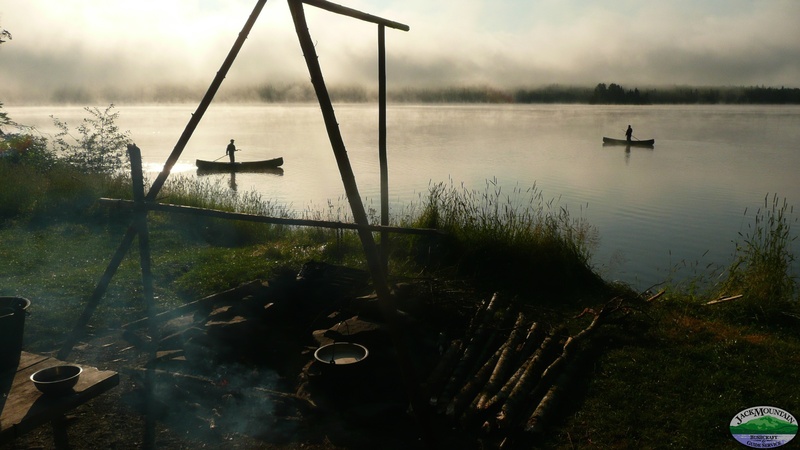 The art of living in wild places with minimal gear, or life without infrastructure. 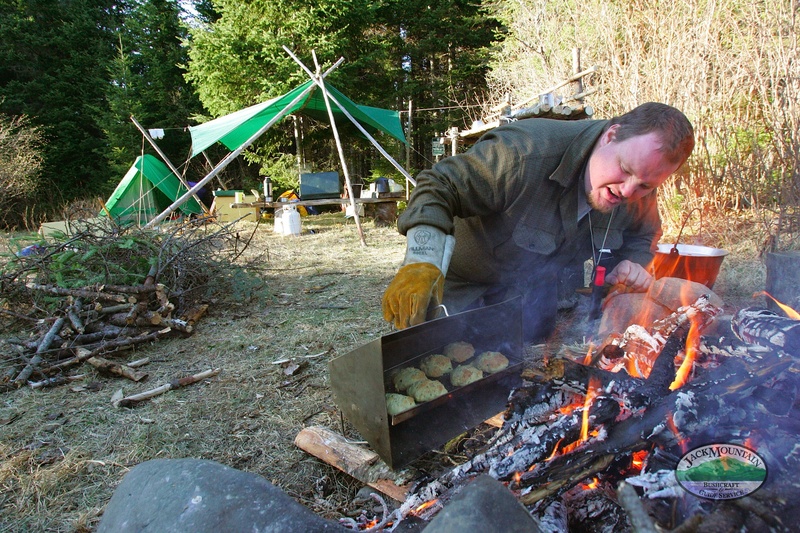 Includes building shelters, making fires, using axes, knives and saws, cooking over a brush fire, living out under the blue sky, etc. Become comfortable being part of the landscape. 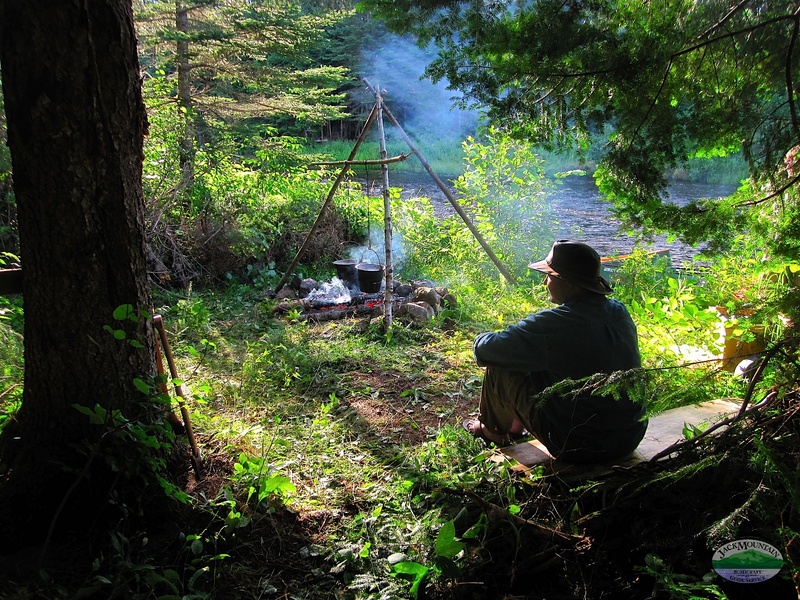 A subset of bushcraft is wilderness survival. 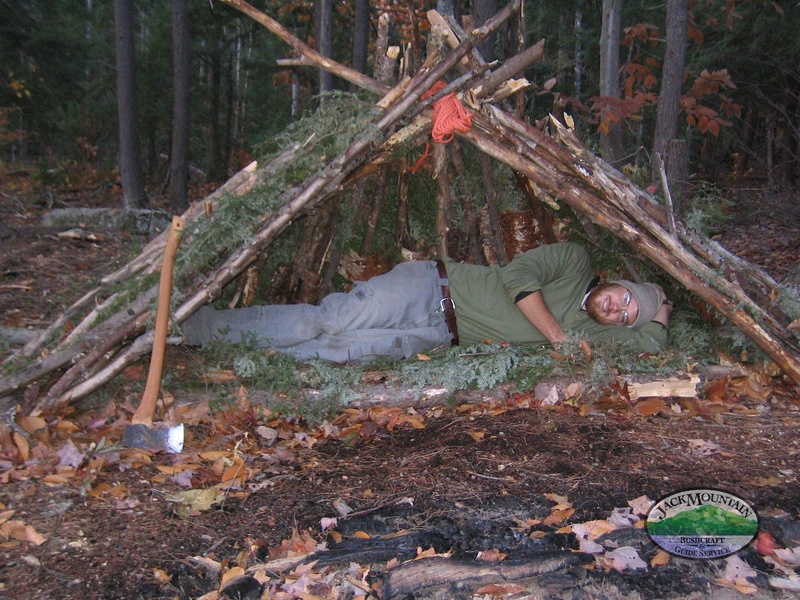 Learn the skills needed to survive in the forest during all seasons. Ecology. 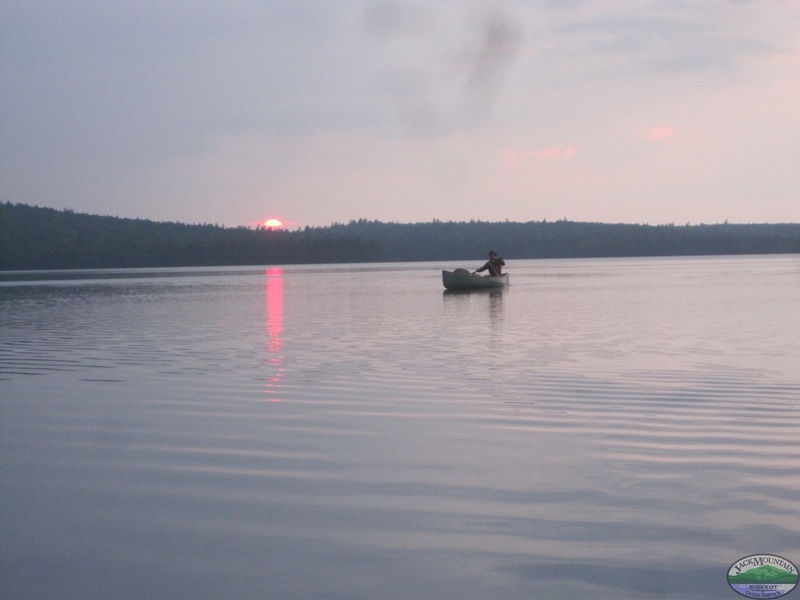 We’re not talking about skimming the surface; we’re talking about getting deep. 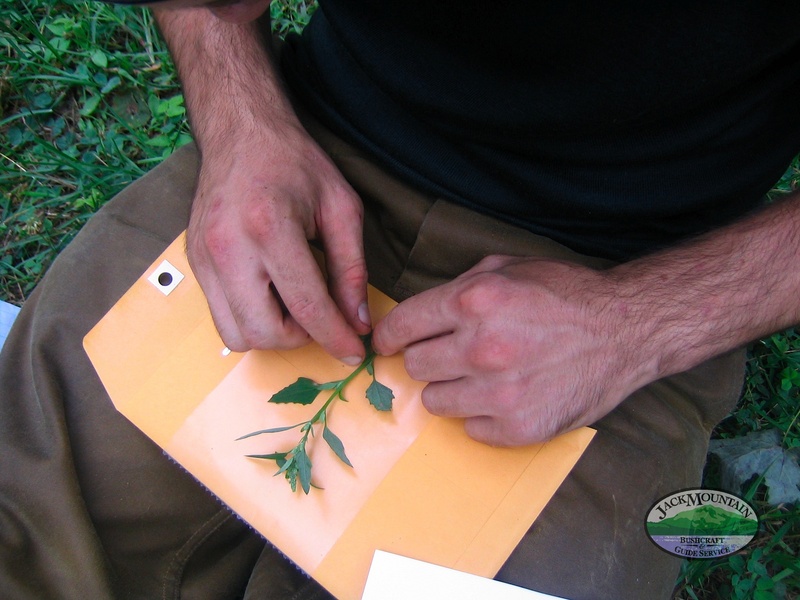 You learn edible plants by identifying them in the field, then incorporating them into your diet. 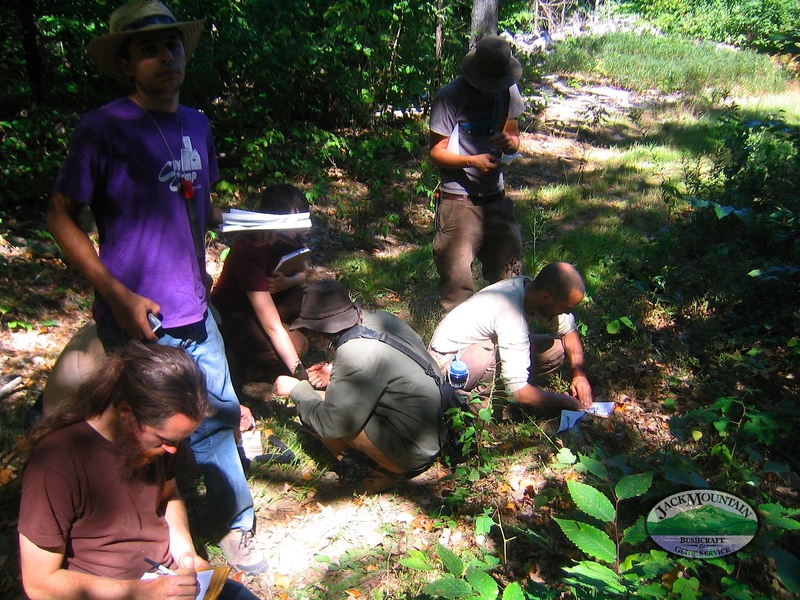 You learn about mammals and their tracks then identify them in the field. You study the weather and learn to predict it using observational forecasting. You study the night sky and learn to navigate using it. You learn static knowledge, then put it into action. 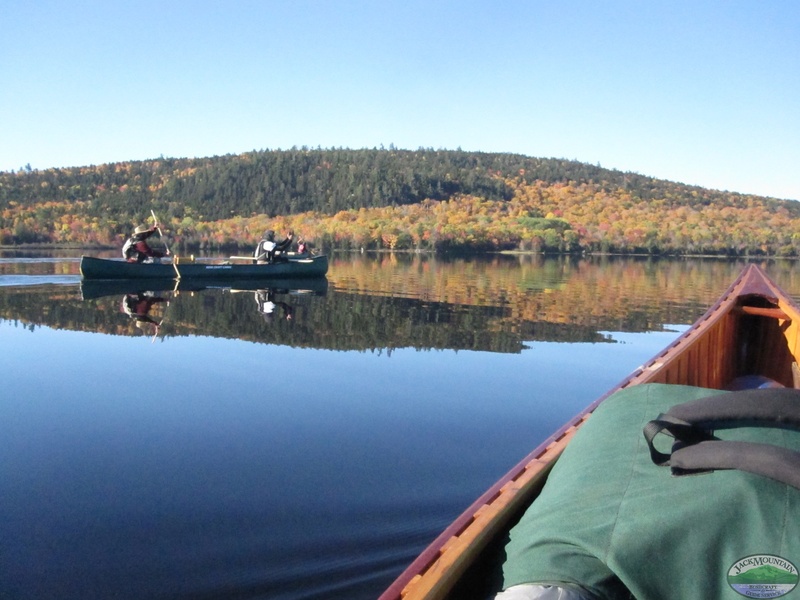 Outdoor Leadership & Guide Training. The soft skills are what make or break a trip. Learn the skills of group dynamics, decision making, risk management and more. 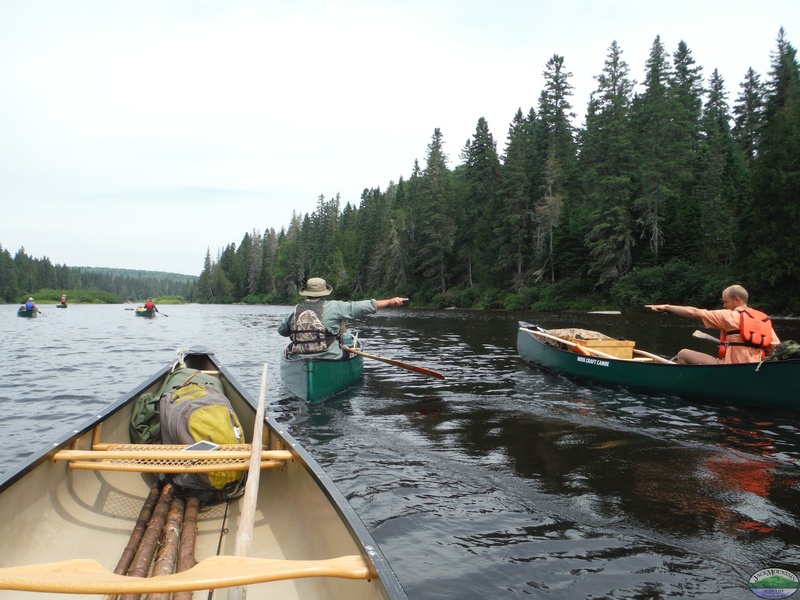 More important that the individual skills, learn to think and act like a leader by modeling after professional guides who have led hundreds of trips, both summer and winter. Crafting. 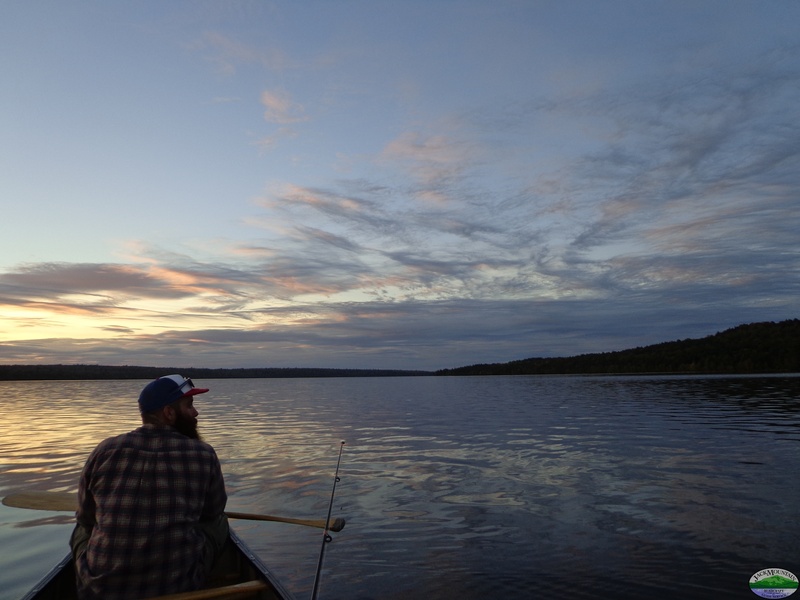 Where our hands meet the natural world. 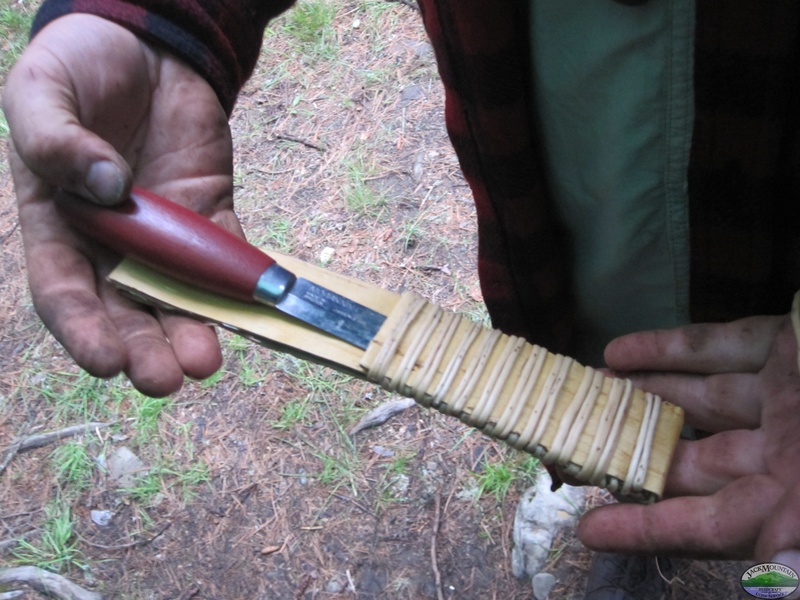 Learn to make useful items from forest materials. 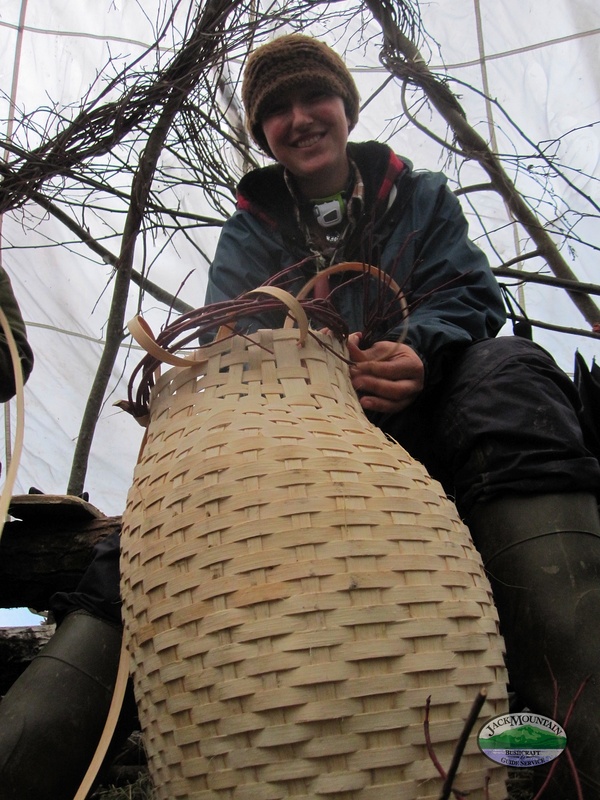 Projects include bowls, saw frames, backpacks, sleeping pads, rope, baskets, knives and crooked knives, and much more. Occasionally we cross paths with people who will refer to this as “arts and crafts”. It’s much more than that. 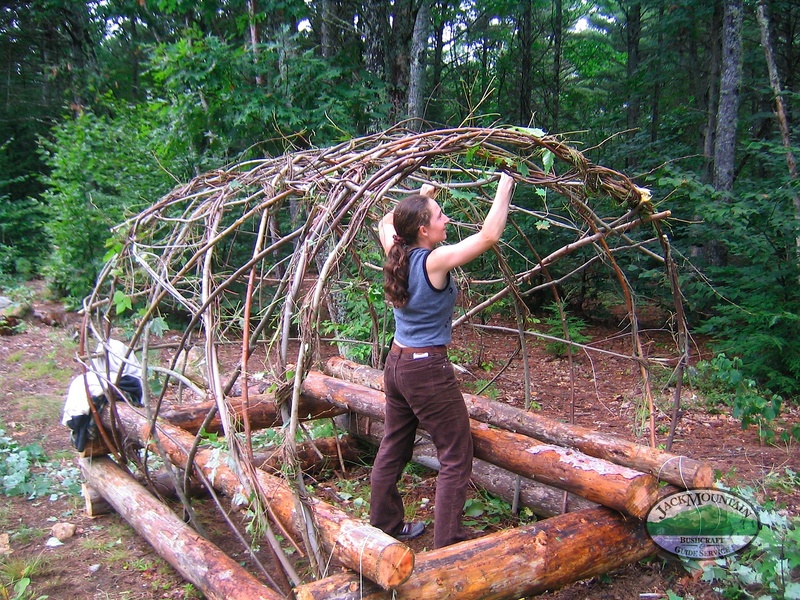 It’s building what you need from natural materials. It’s what changes you from being a mindless consumer to being an enlightened producer. 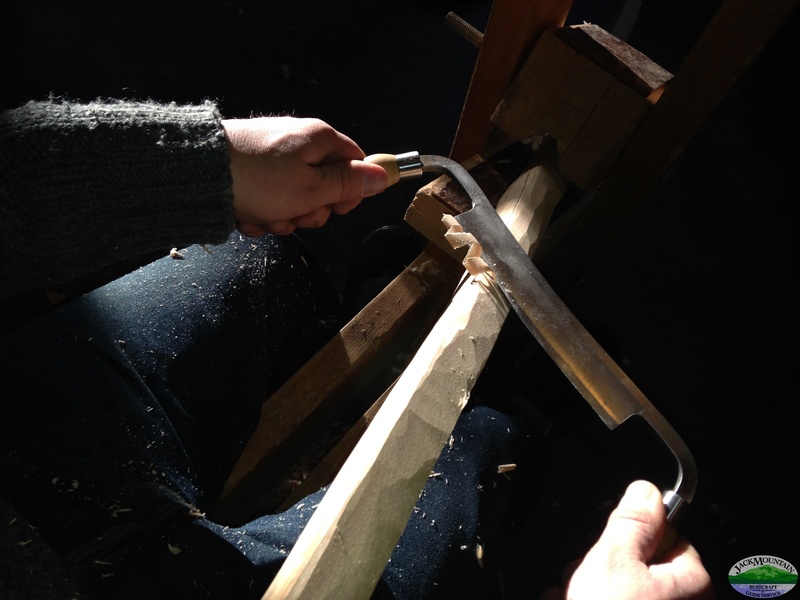 Nothing makes you more self-reliant than doing and making it yourself. 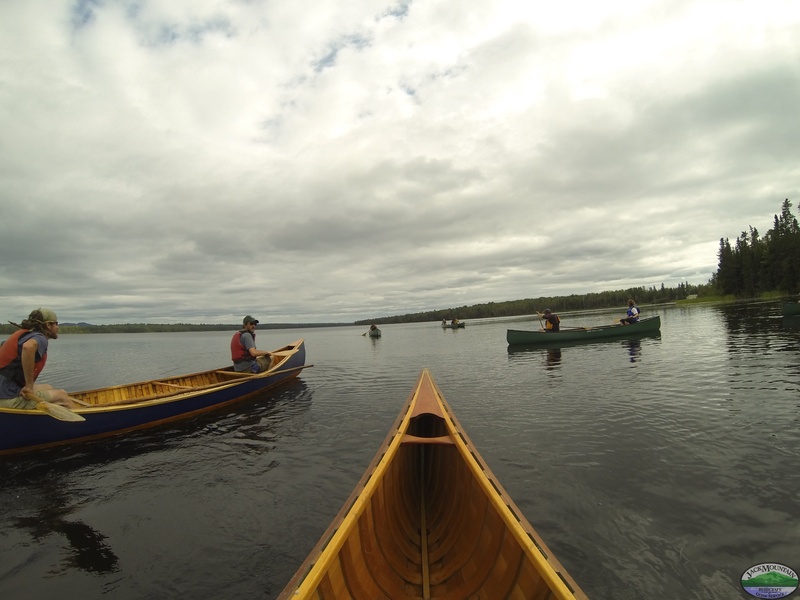 Expedition Canoe Skills. 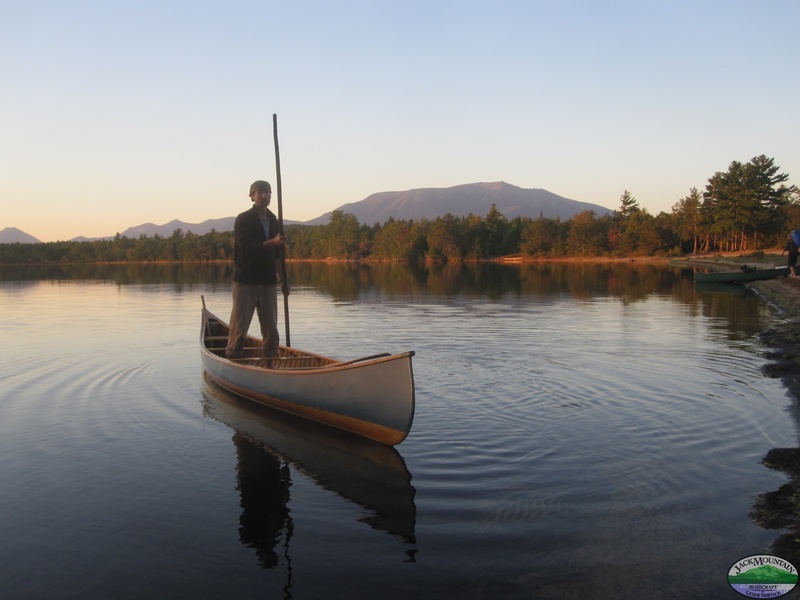 Many people have been in a canoe, but few have unlocked the potential of this ancient craft. 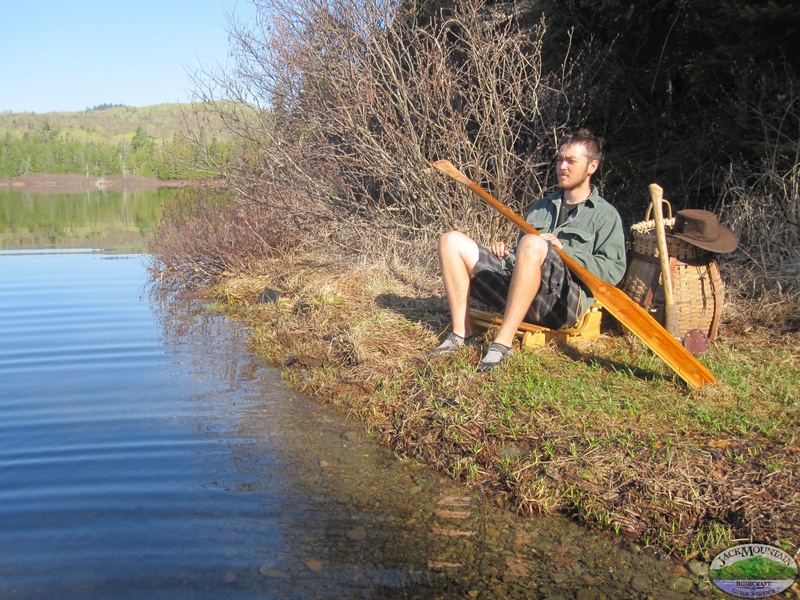 Learn how to use your whole body to paddle powerfully, hour after hour, day after day. 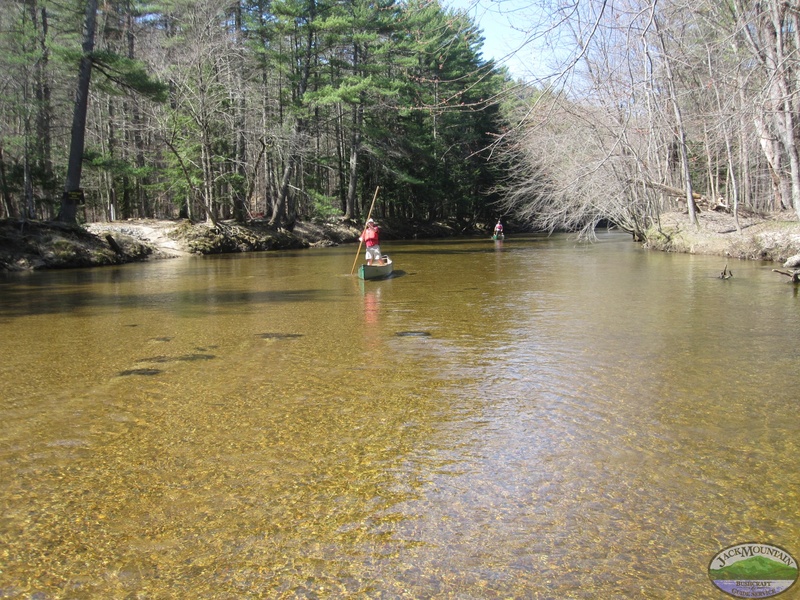 Learn the art of poling to travel upstream and down and have total control over a loaded 18 or 20 foot canoe. 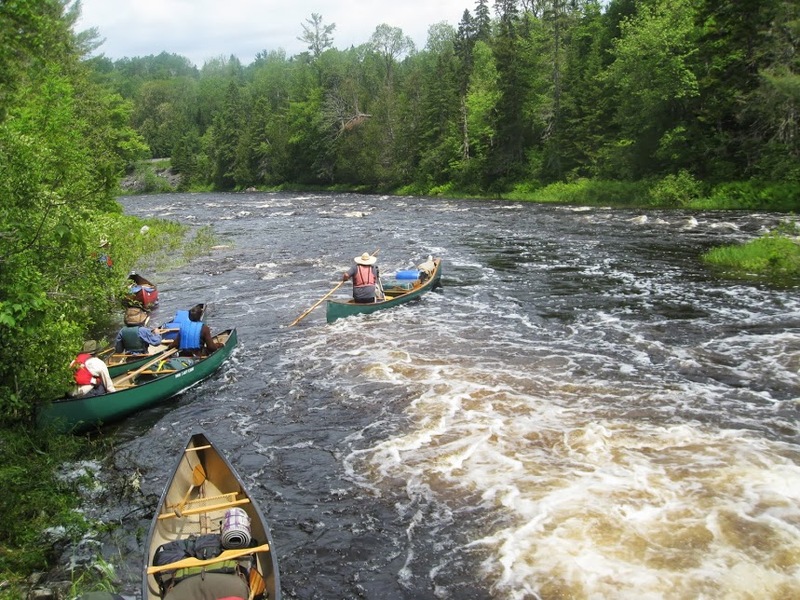 Learn to control your boat from shore in a big rapid by lining and tracking. 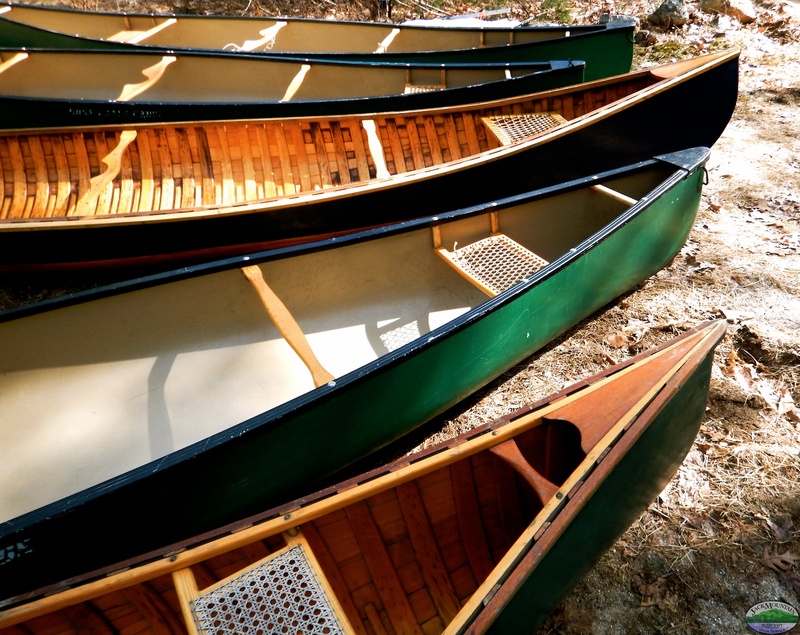 The canoe is the most versatile watercraft ever invented. 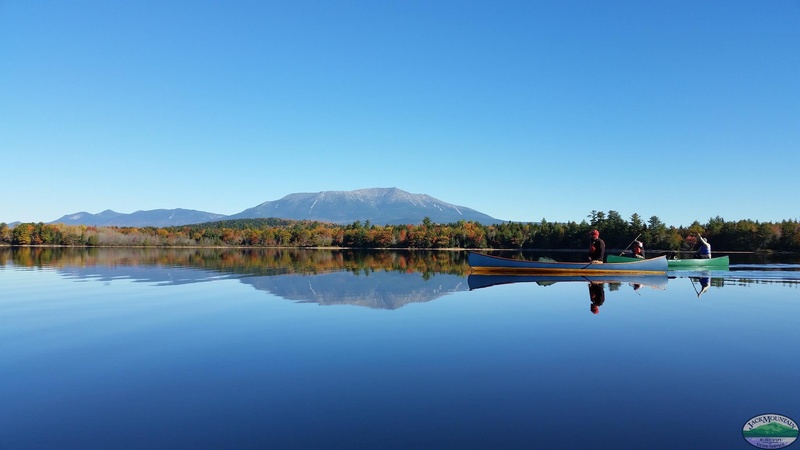 You’ll learn it’s language as you travel a hundred miles on Maine’s remote waterways, and it will for ever become a part of you. Sustainability. 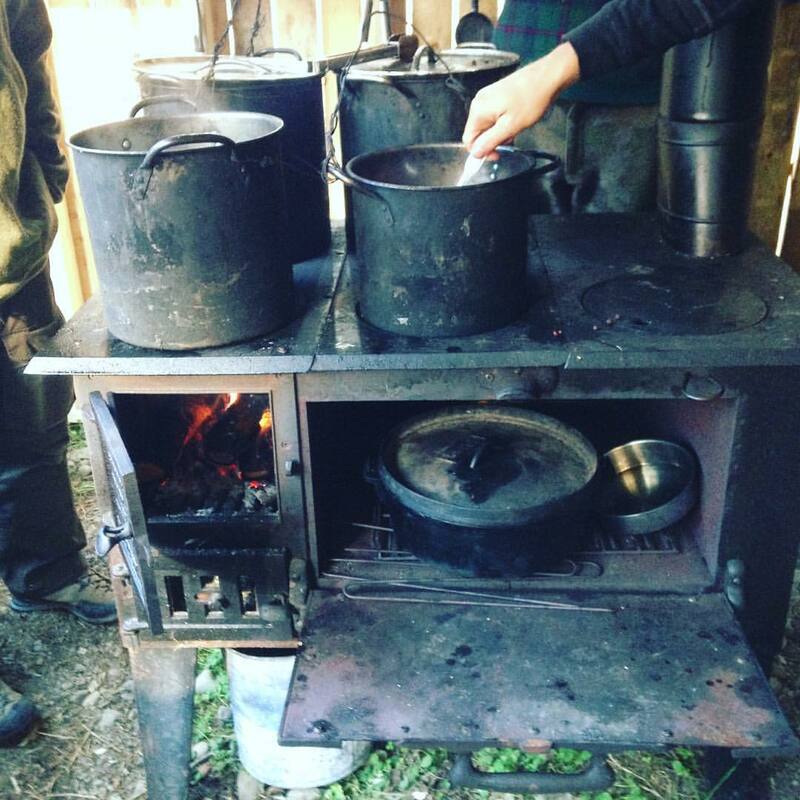 Our field school is a working off-grid homestead. There are countless lessons you’ll learn by living the lifestyle. 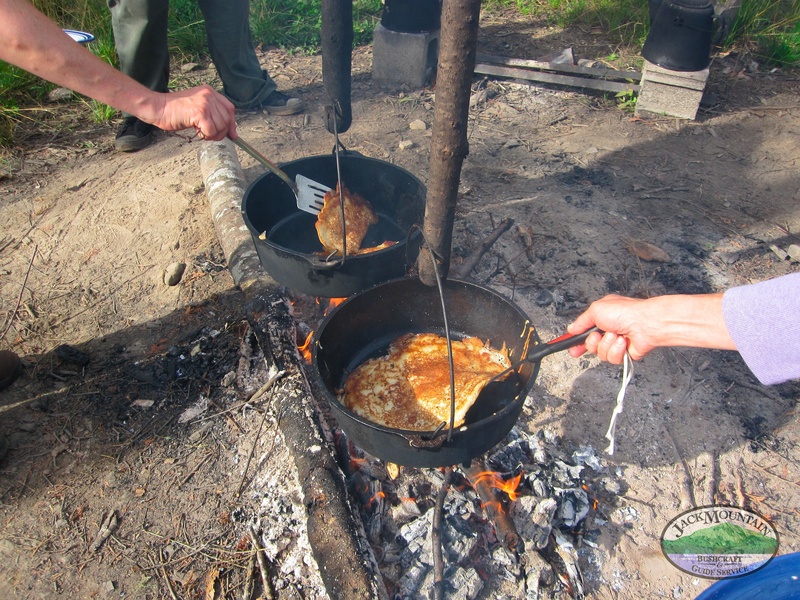 You’ll also have formal instruction on stationary and portable solar power systems, composting everything, planning, planting and keeping a garden, low-tech solar hot water, using the sun to cook food, using wood to cook on a rocket stove and wood-fired cook stove, drying and storing food, processing wild foods, and much, much more. 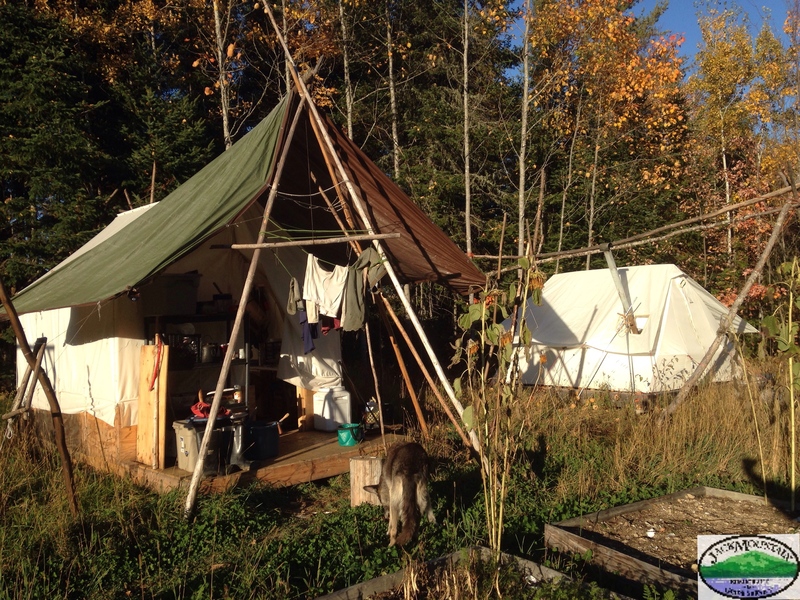 If you want to learn to live without infrastructure and build or improvise your own, this is a great place to do it. And along the way you’ll learn that it’s a graceful process filled with fun, not suffering. Fishing. 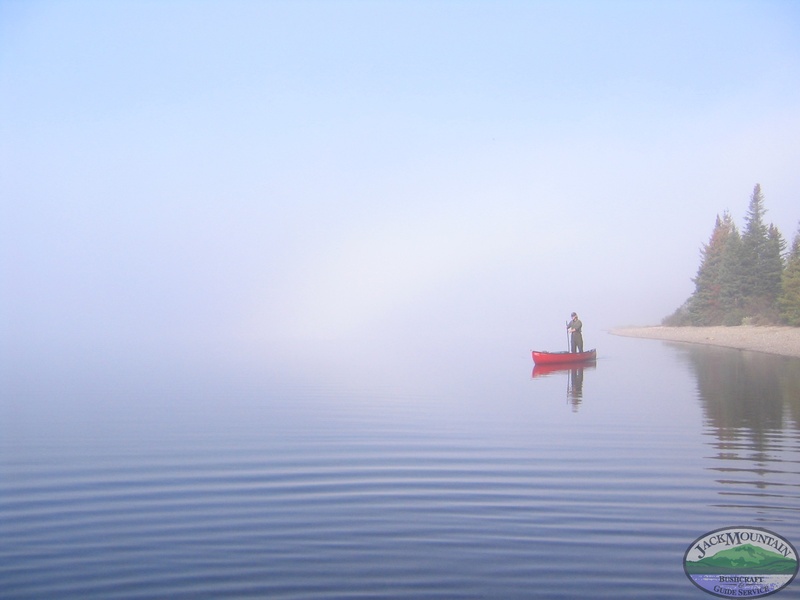 We are passionate about fly fishing. 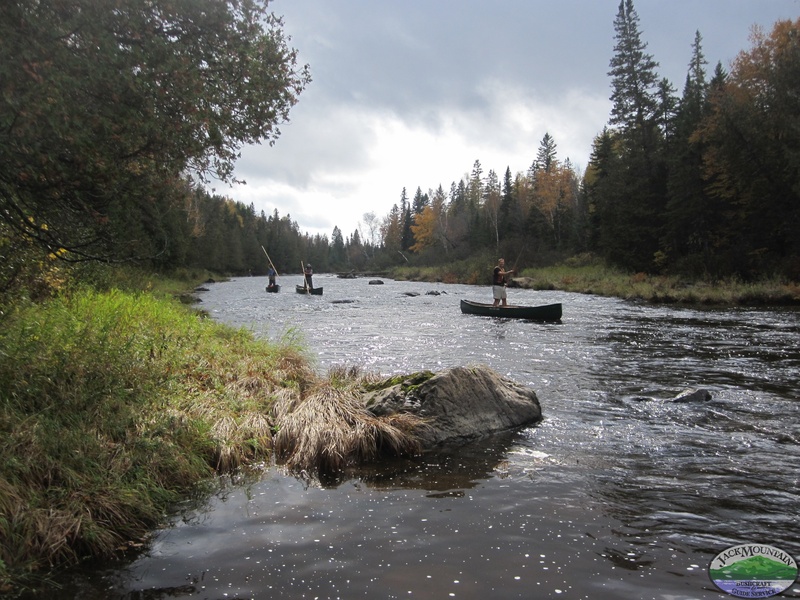 You’ll learn to cast, read the river, and a lot about fish and water. 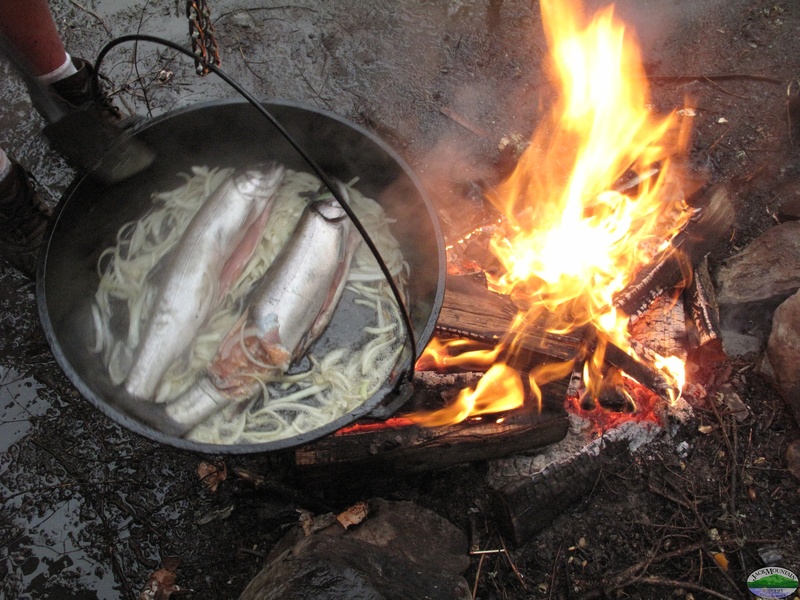 For more detail on our curriculum, take a look at the Jack Mountain Bushcraft Student Handbook and First Person Ecology. But be aware that the outline in the student handbook contains is a list of all the topics we teach, not a syllabus for any individual course. There is no way we could cover the entire outline completely in a single semester, so set your expectations accordingly. We are currently updating the student handbook for 2017. 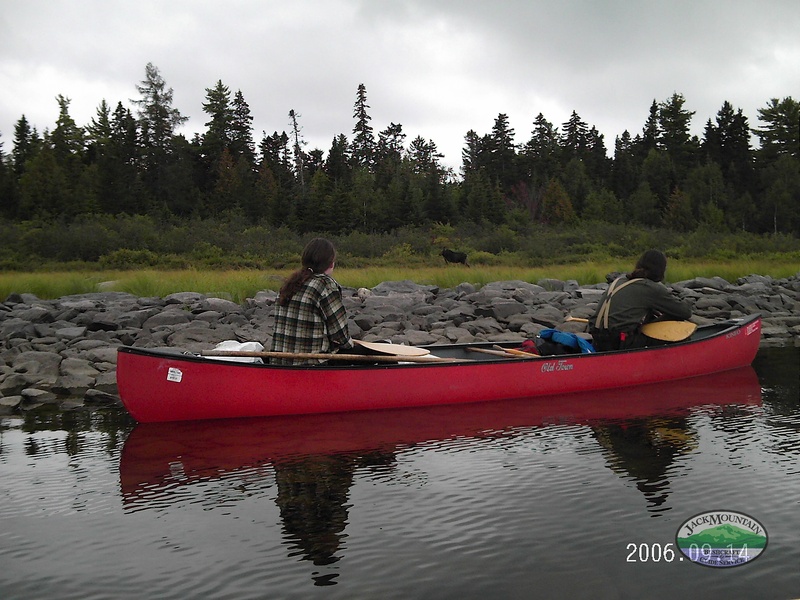 Leaving the protection of a cove on a large lake. 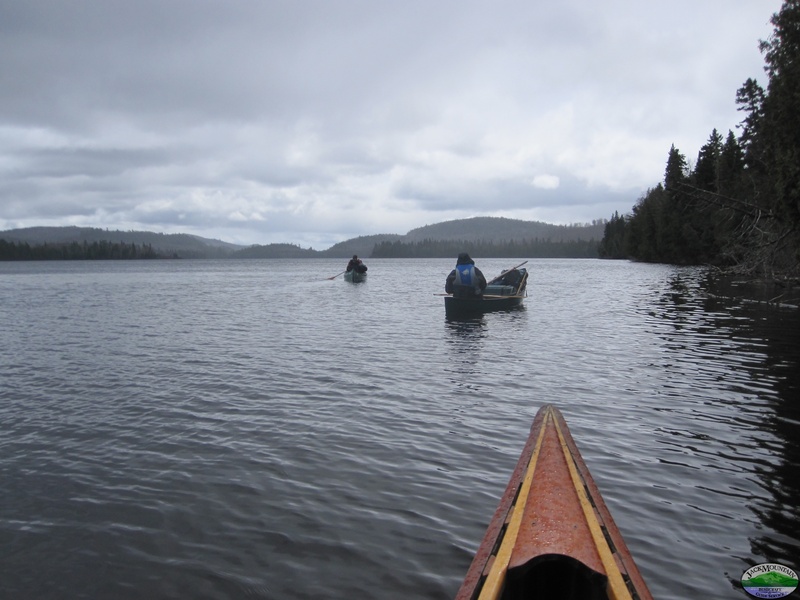 We have guided expeditions on Maine’s remote canoe routes since the 1990’s. 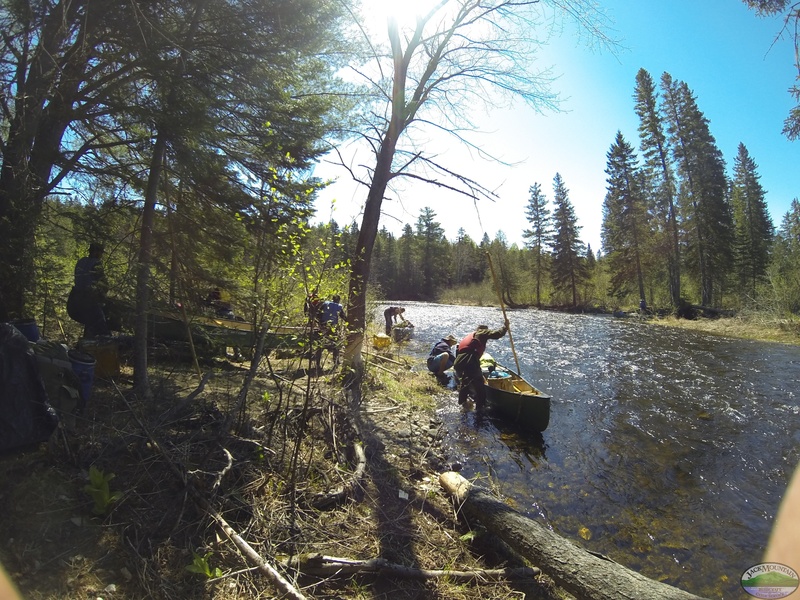 During the semester we take several short trips and one long one traveling on Maine’s remote rivers because it’s better to get out and do it in the field than to talk about it in a classroom. 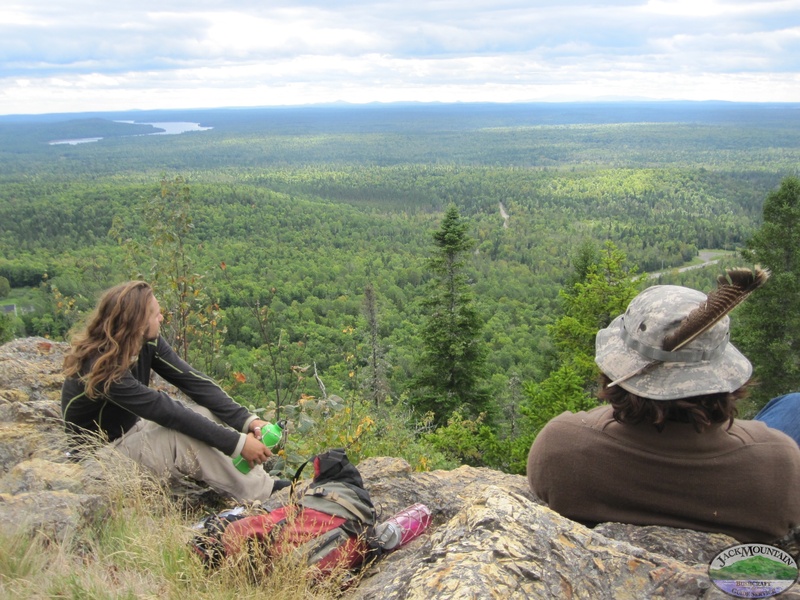 On these expeditions you learn the details of how to manage a group in the field as well as developing travel skills. 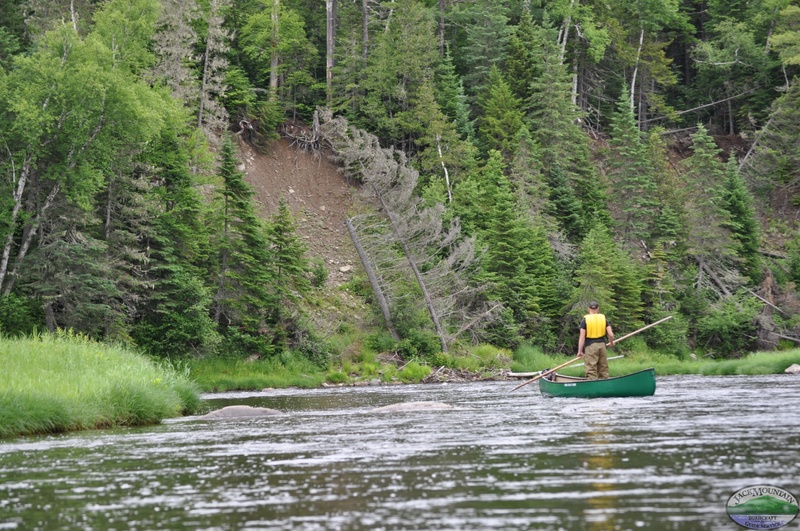 We favor the lesser-known canoe routes in the Aroostook river drainage. 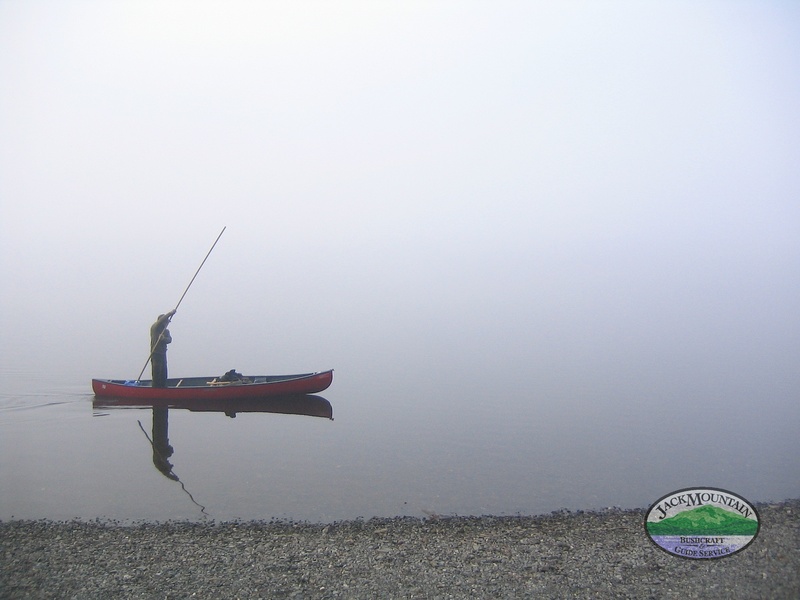 Travel by water is subject to weather and water levels. As such we reserve the right to change our itinerary in advance or at the very last minute. 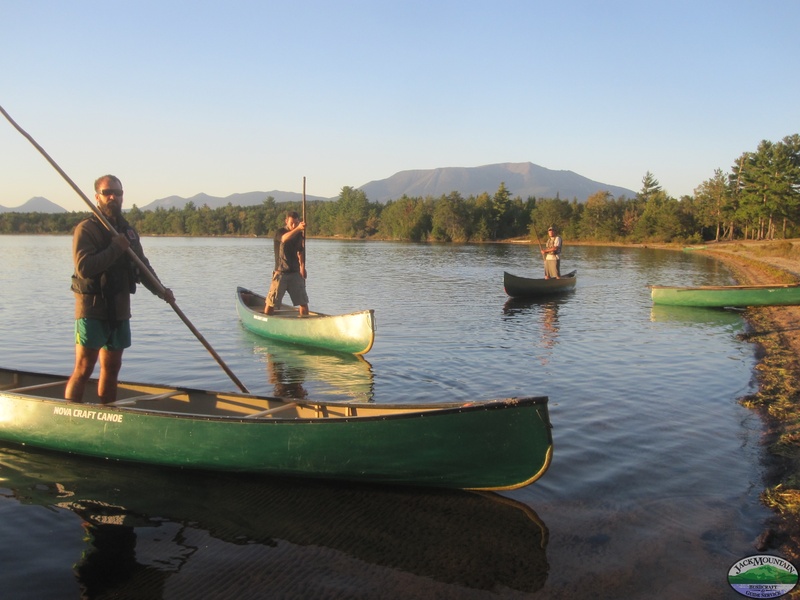 NOTE: In the past we’ve had people participate in a semester class that didn’t know we were going to spending a lot of time traveling by canoe. We are. 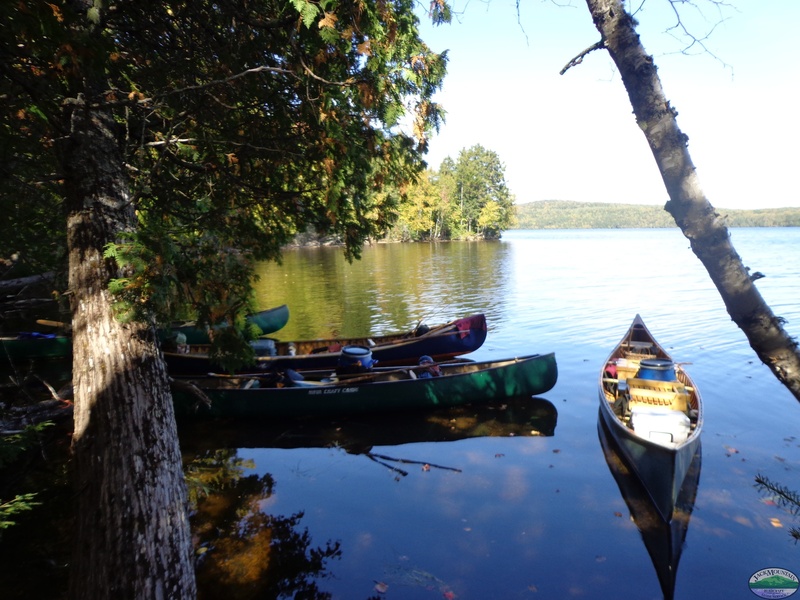 TRIPS ARE NOT OPTIONAL In past semesters some students have wanted to skip trips and stay in camp. This is not an option. We don’t allow people at the field school without an instructor present. 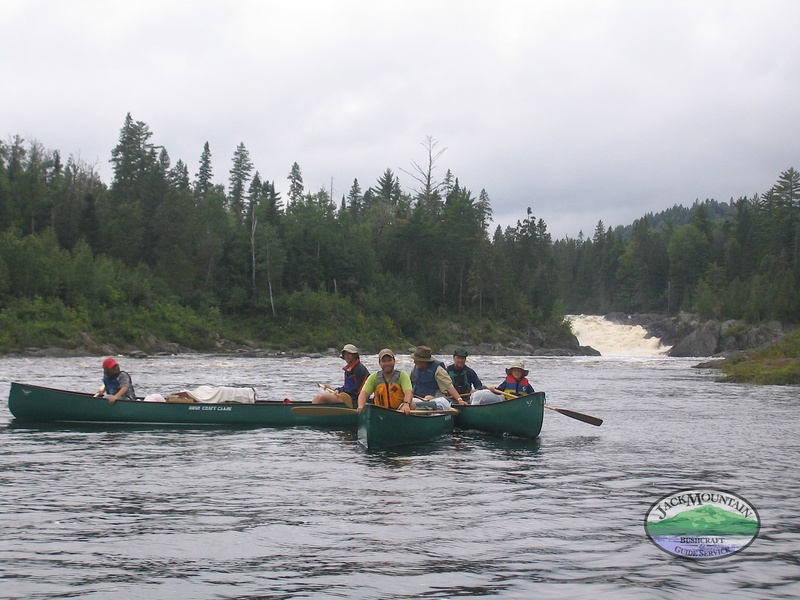 Instructors are scheduled to be with the group on trips. As such, if a student does not want to or cannot participate on the scheduled trips for the course, they will be removed from the course and sent home. 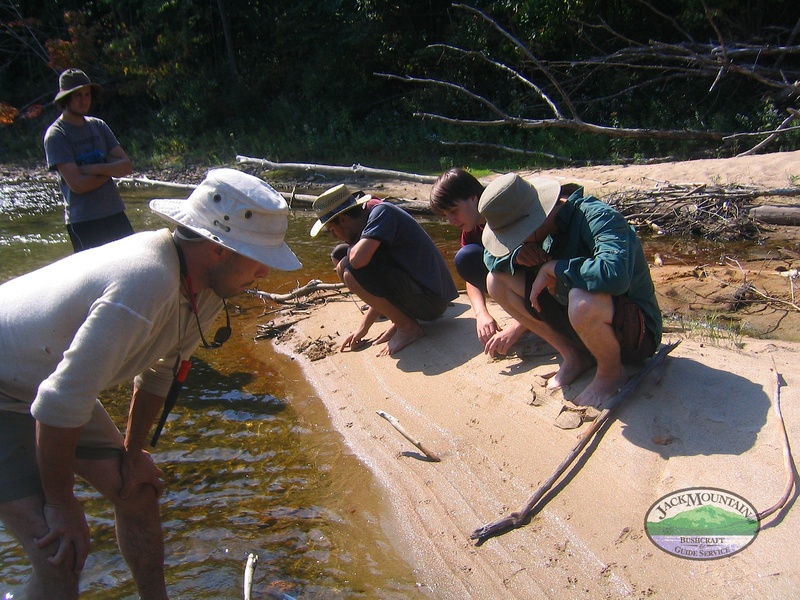 Students are free to opt-out of any activity, whether at the field school or in the field. But they are not free to opt-out of trips in order to avoid negatively affecting the rest of the group. We travel as a group. 1. 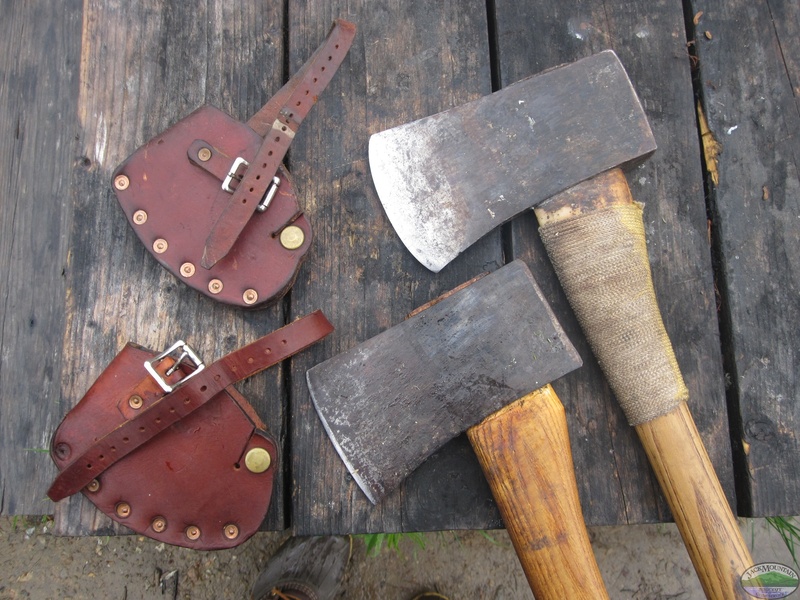 Demonstrate skill proficiency and extensive experience in a wide variety of bushcraft and primitive skills, including fire, shelter, outdoor cooking, observational weather forecasting, carving, basketry, cordage and natural bindings, navigation, and the use of the axe, saw, and knife. 2. 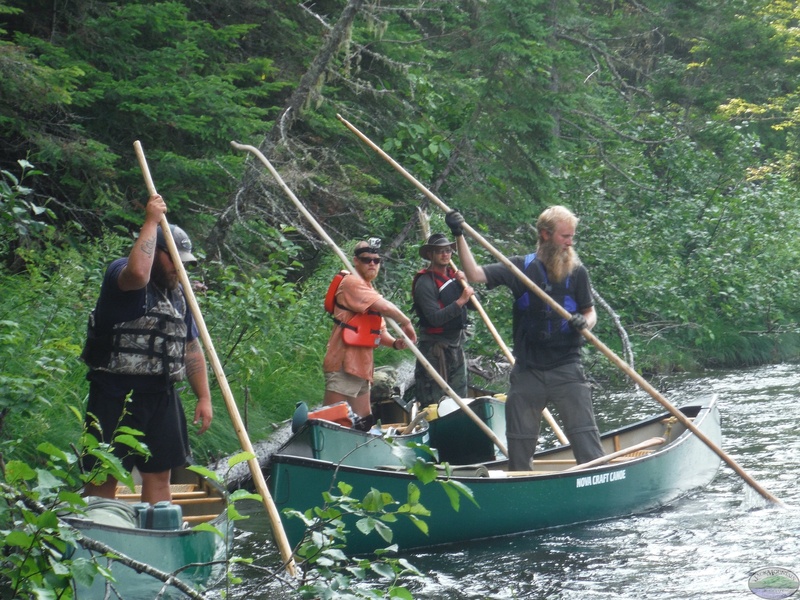 Demonstrate knowledge and skill in traditional canoe skills, including paddling, poling, safely running whitewater, portaging, and other related skills. 3. 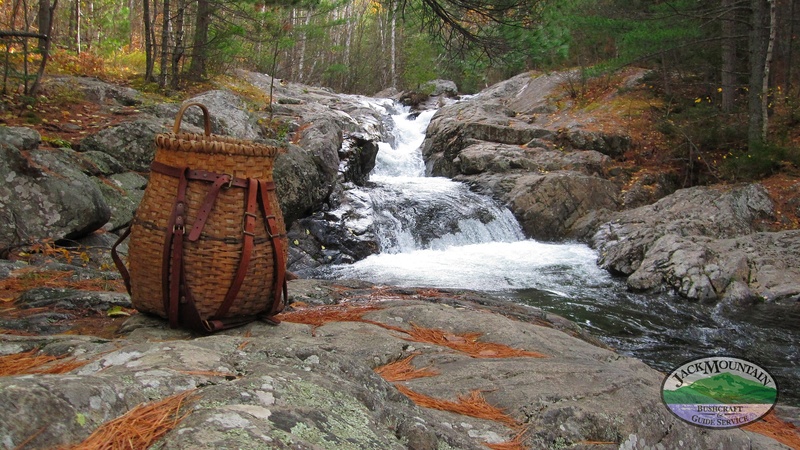 Make a variety of pieces of traditional gear, including a canoe paddle and pack basket. 4. 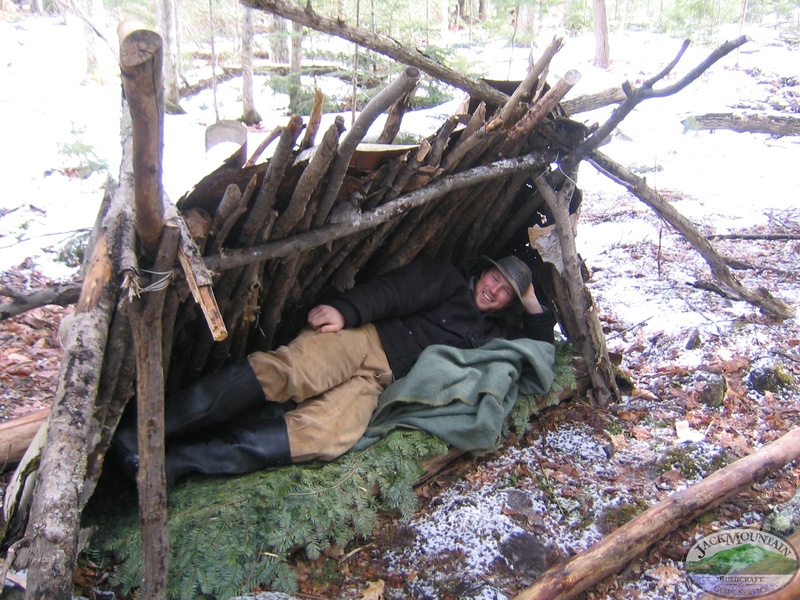 Have a working knowledge of basic, intermediate, and advanced wilderness survival. 5. 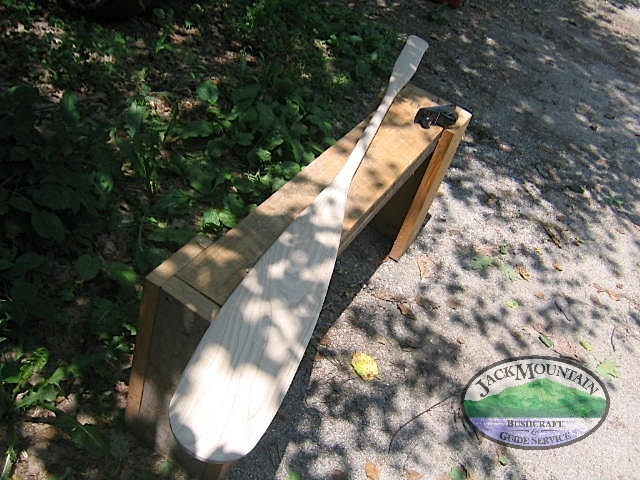 Assemble and maintain a tool kit with which they can make a variety of different crafts. 6. 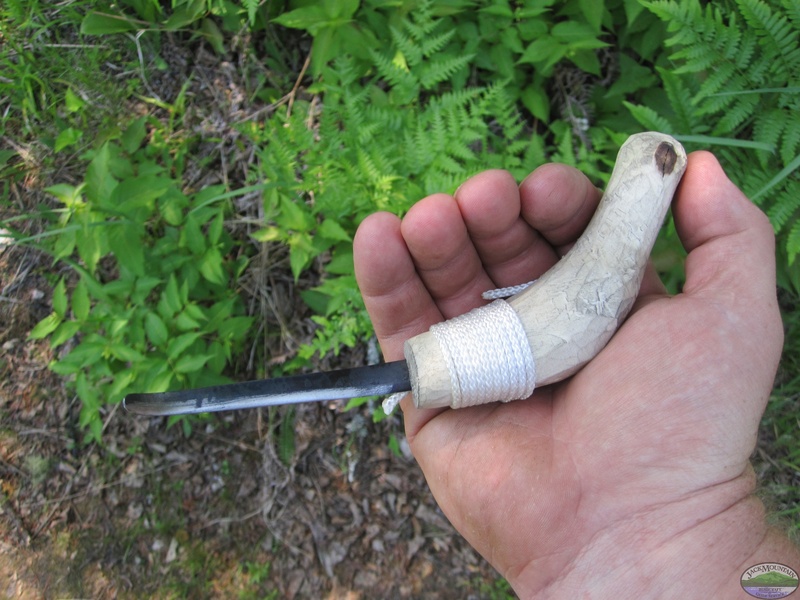 Navigate by map and compass, and also by using barehand methods. 7. Build a strong foundation of nature knowledge about the weather, plants, the stars and constellations, mammals and their tracks, fish, etc. 8. 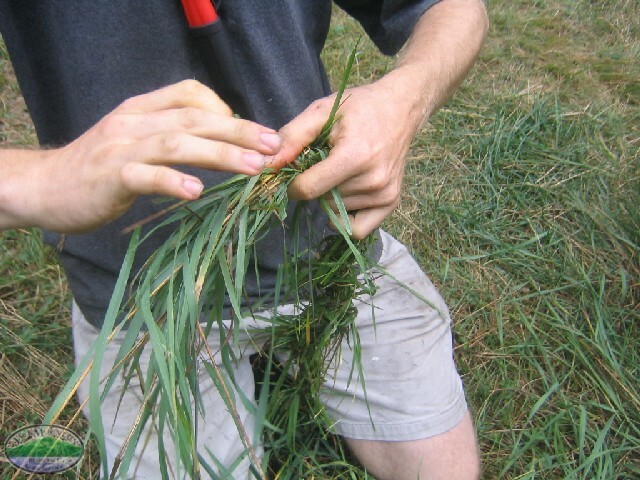 Have a working knowledge of 50 edible, medicinal, and otherwise useful wild plants. 9. 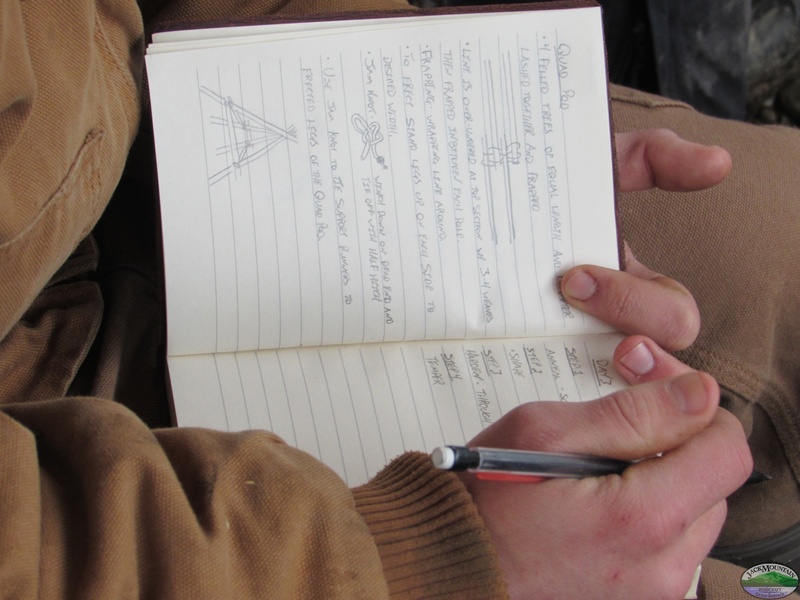 Document daily progress with individual skills in their logbook. 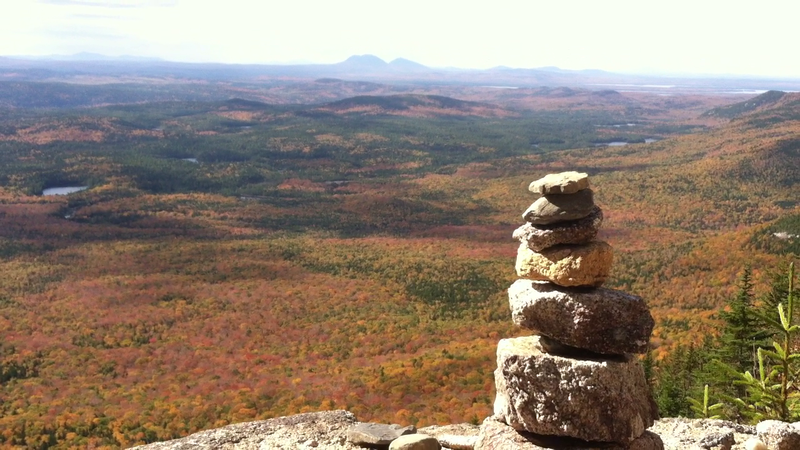 The view from the top of Haystack Mountain. Squapan lake in the distance. Something students hear a lot around the field school is that it’s the process that’s important, not the product. We’re process-driven. 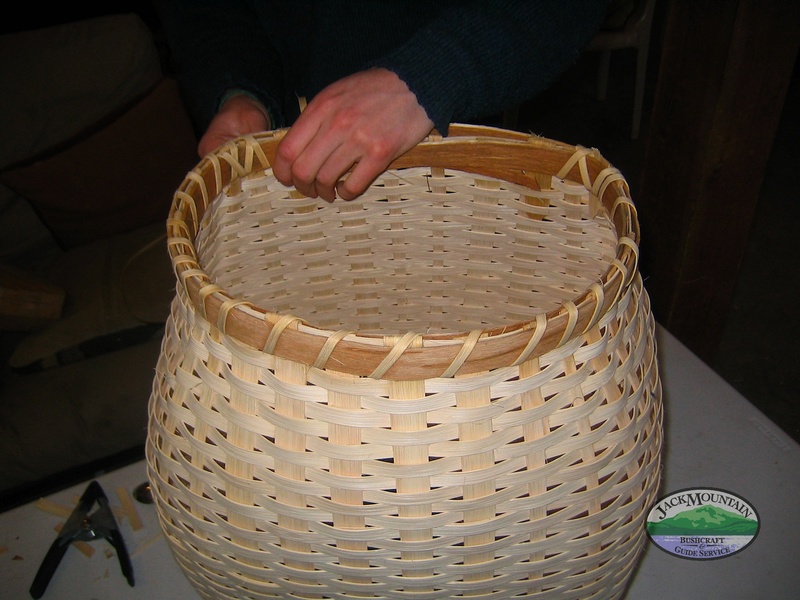 It’s nice to have a good-looking bow at the end of the process, but we’re more invested in people being able to replicate the process after the course. 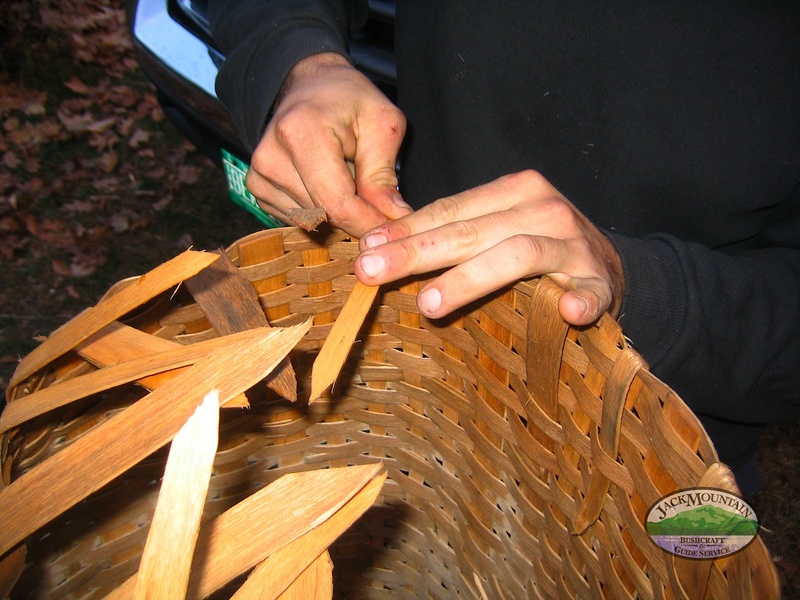 (Read about the process of learning bowmaking). Jack Mountain founder Tim Smith spent 2 years studying how people learn and best practices for teaching in graduate school, resulting in a Master’s degree in education. For the ensuing 18 years he’s operated his own educational laboratory (this school). Along the way we have discovered a lot of things that work, as well as a lot that don’t. We’re always adapting, innovating and trying to do it better. Learning empowers people. In a single word, our educational philosophy and mantra is CAN. Read the expanded version on our educational philosophy page. 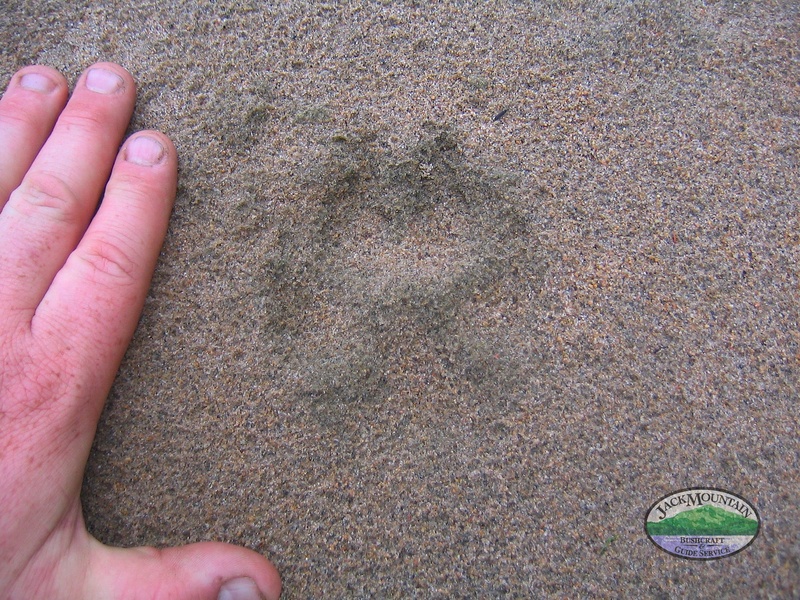 Wolf track in the sand by a remote lake in northern Quebec. 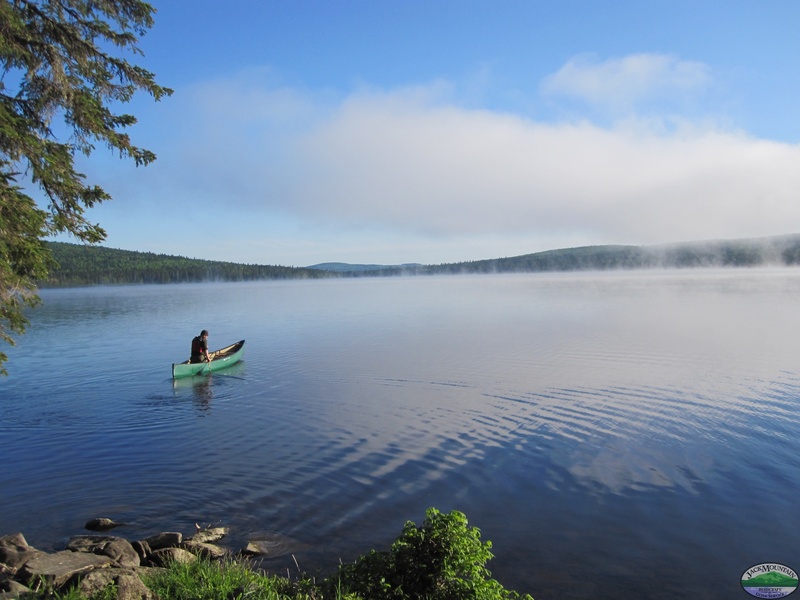 Our field school is a working homestead located on the Aroostook river in Masardis, Maine. More info. 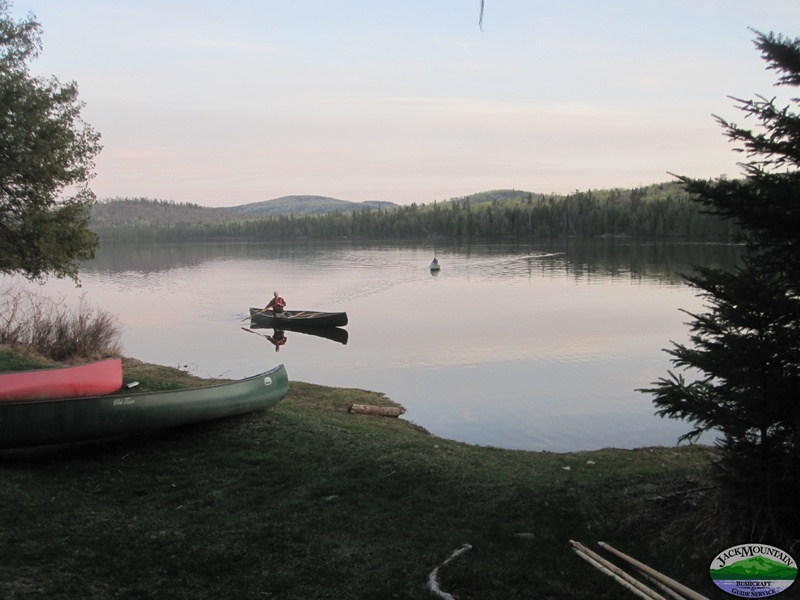 Directly across the road from the North Maine Woods, a 3.5 million acre working forest that’s like heaven for sportsmen and wilderness travelers. For College & Gap Year Students: We work with students and colleges to provide college credit. We are actively seeking other partners at the university level. Past students have used consortium agreements and financial aid to help pay for the course. Students can earn 10 credits from Western State Colorado University that can be transferred to their home school. For more information contact the Western State Colorado University Extended Studies office. Other students have completed independent studies through their home institution to receive credit. More information on college credit. For Military Veterans: 100% of the course tuition is covered by the GI Bill (more info). We have also had students pay 100% of the tuition using vocational rehabilitation (chapter 31). More info. Americorps Education Awards: Students can use Americorps Education Awards to pay tuition. More info. Tuition Financing: We offer tuition financing allowing students to take several years to pay for the course (more info). Scholarships: We offer scholarships directly to college students (more info). Past students have also taken advantage of outside scholarships (more info). It is not a place to learn native spirituality. 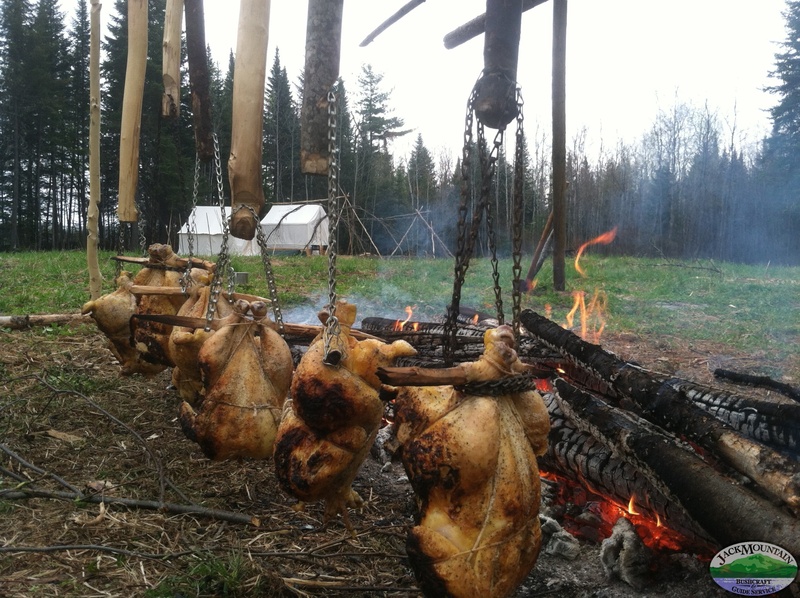 We teach and model respect for the land and its inhabitants but we don’t do so through new age religion or by misappropriating the spirituality and ceremonies of Native American or First Nation peoples. It is not a hippy-hangout. 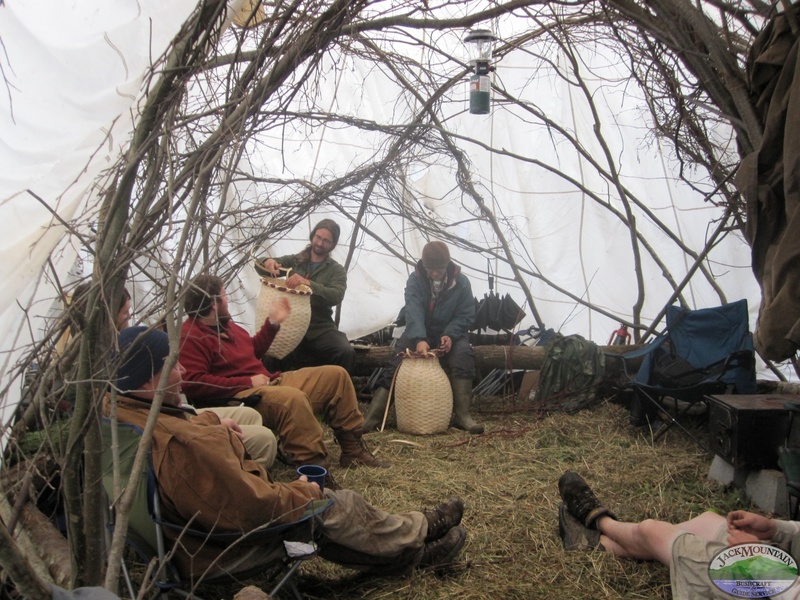 A few years back one of our students told us he was advised by the owner of a survival school that leans tactical that he should avoid coming to Jack Mountain because we were “a bunch of hippies singing kumbaya around the fire.” Funny, but not remotely true. Not a place to get high. We’re not a great fit for substance abusers. Our field school is alcohol and drug free. If you have to get high every day, we’re probably not a good fit for you. 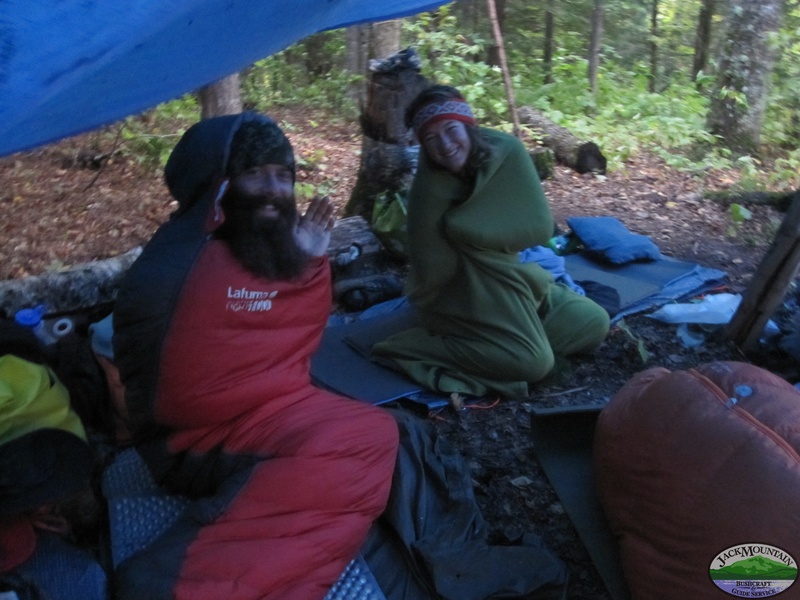 It crushes the motivation of a group if someone is staying out late getting high, sleeping in, wandering into camp late and hanging around not being productive. We don’t allow this type (or other types) of distractions. We ask our students to stay focused during the course. Those who can’t are asked to leave. 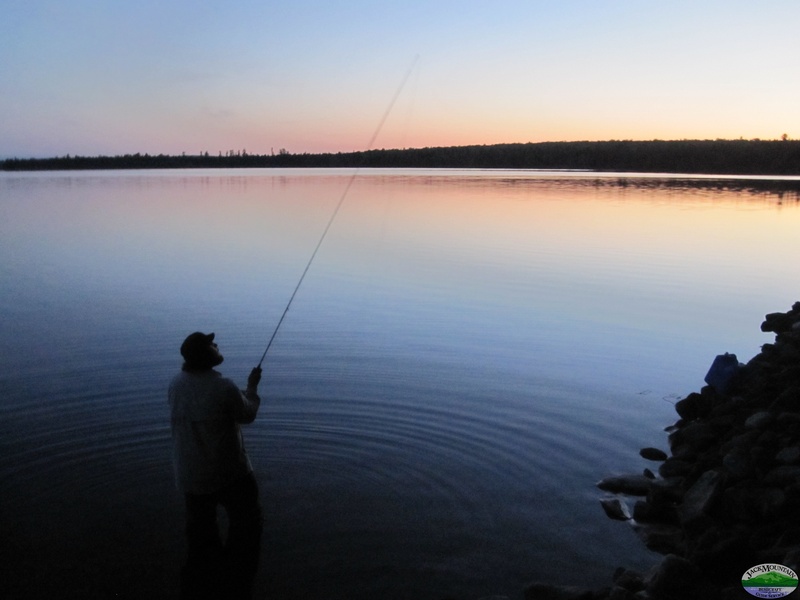 Fishing: The open water fishing season ends on around the end of September each year. 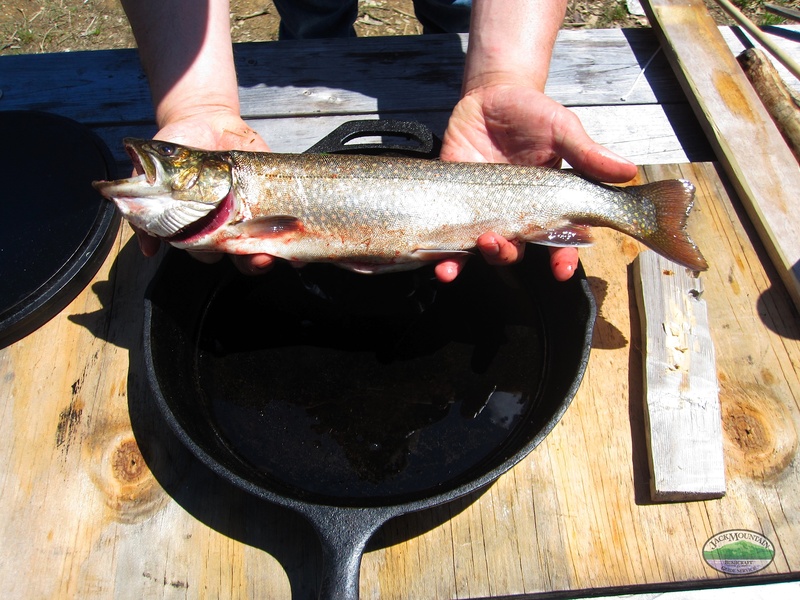 The best fishing of the year is during our spring course. 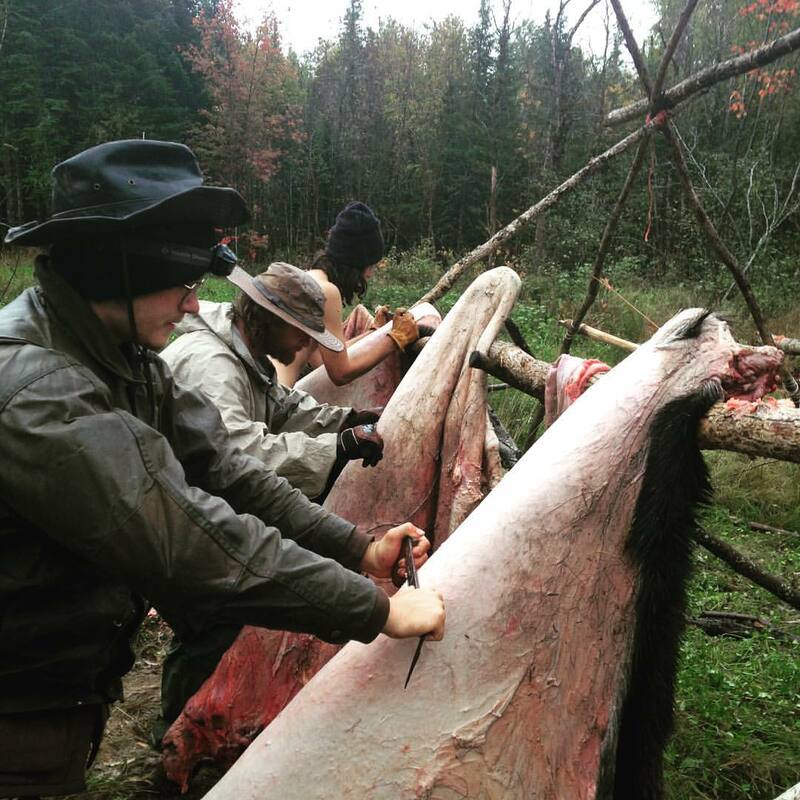 Hunting: There are several open hunting seasons that take place during the fall course, including the open season for bowhunting and firearms seasons for bear, moose, grouse and hare. There are no open hunting seasons during the spring course. 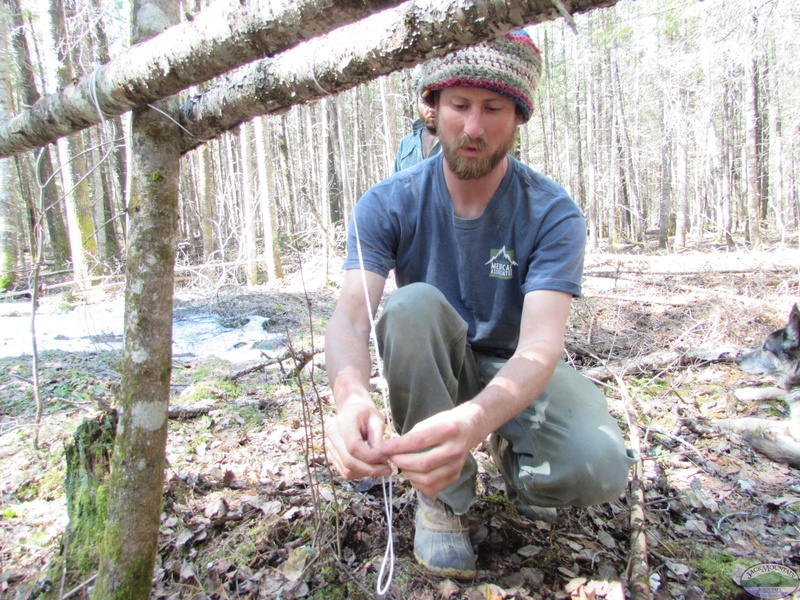 Trapping: We have a regular unit on primitive traps and trapping, but we won’t be catching any animals with them because it is illegal. Gear: We don’t lend gear, except under very controlled situations. 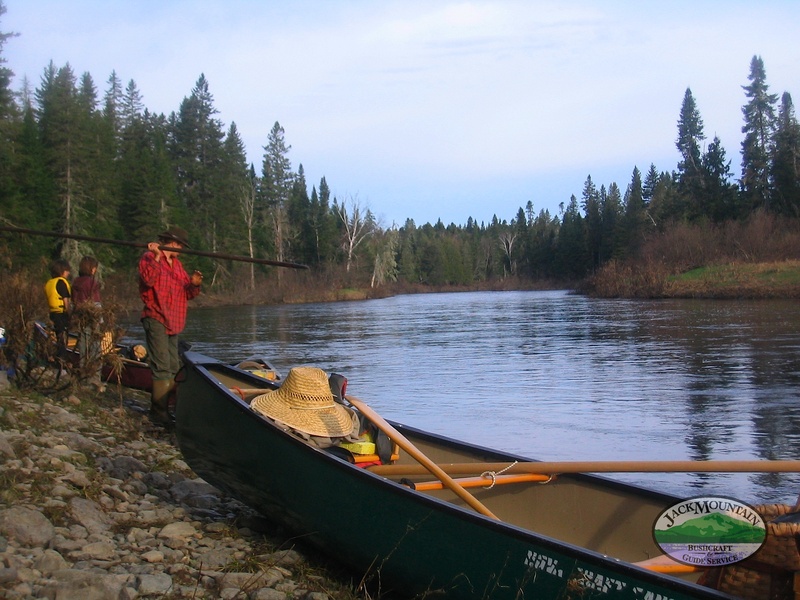 For fly fishing gear, we have one extra fly rod that can be used to practice casting while we’re teaching. We don’t lend it for people to go and fish with. 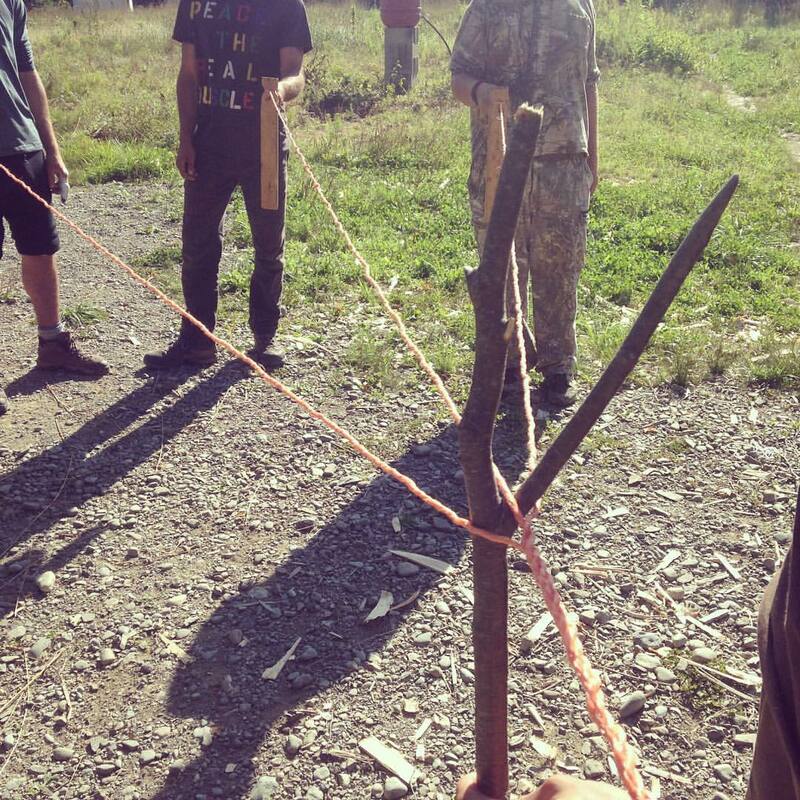 We don’t lend bows or firearms except in completely controlled, target situations. What this means to you is that you can learn to shoot here, but you won’t be hunting with our equipment. 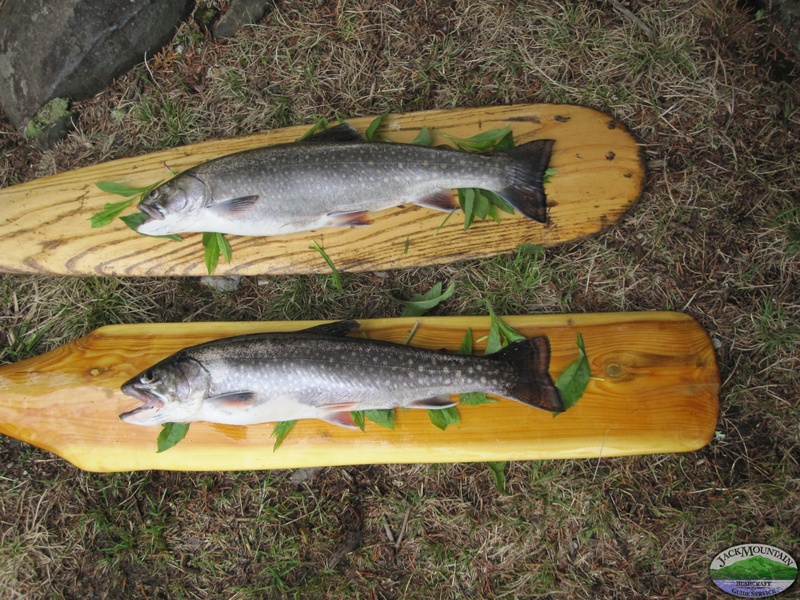 Licenses No one will actively fish or hunt on our courses without the proper licenses and permits. 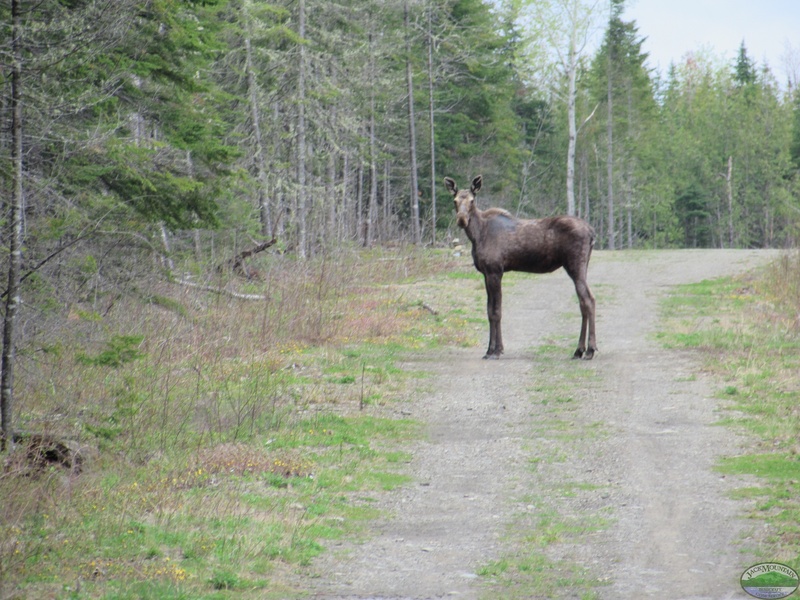 Many opt to hunt with their cameras, for which no license is needed. 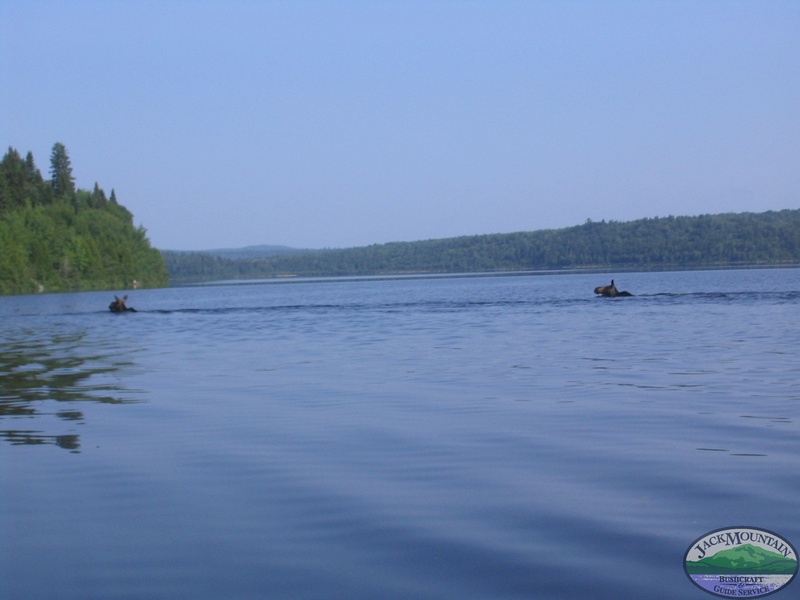 For more information on hunting and fishing licenses, permits, seasons and laws, go to the Maine Department Of Inland Fisheries And Wildlife. 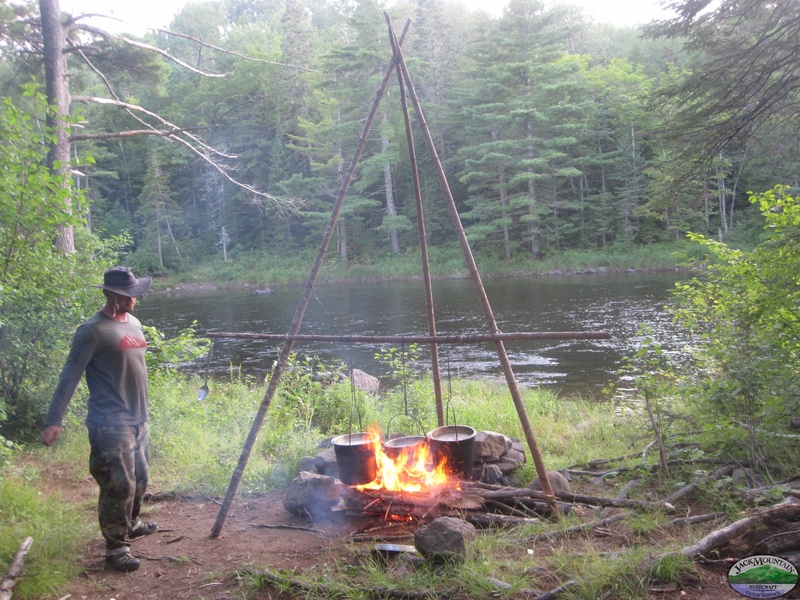 The idea for the Wilderness Bushcraft Semester was born in a wall tent during a trip along the remote Maine/Quebec border in February of 2000. We were on a 14-day trip snowshoe trip, hauling our gear on handmade toboggans and enjoying the deep snow and bitter cold of late winter. As the wind howled outside we were cozy and warm in the heat of the wood stove and illuminated by the light of a candle. 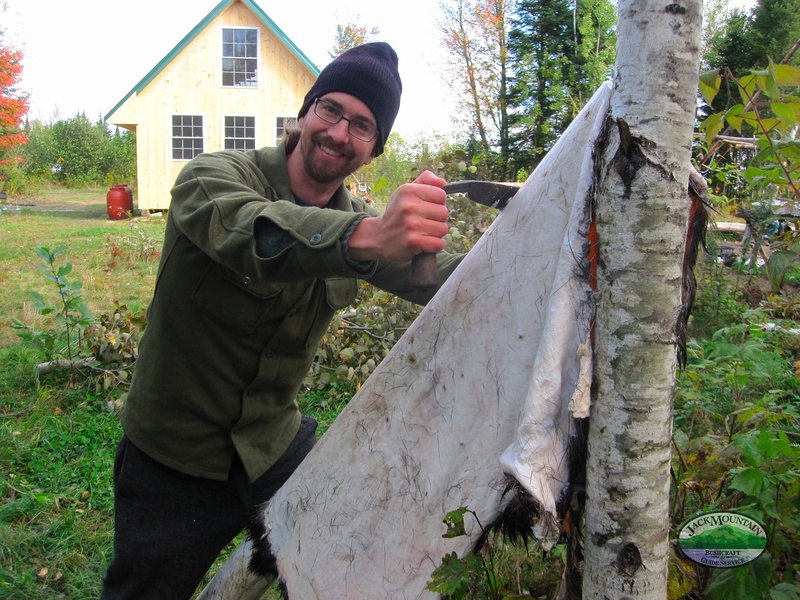 We talked into the long night about putting together a semester-length course that, were we to be learning the ways of the bush from scratch, we’d like to take. 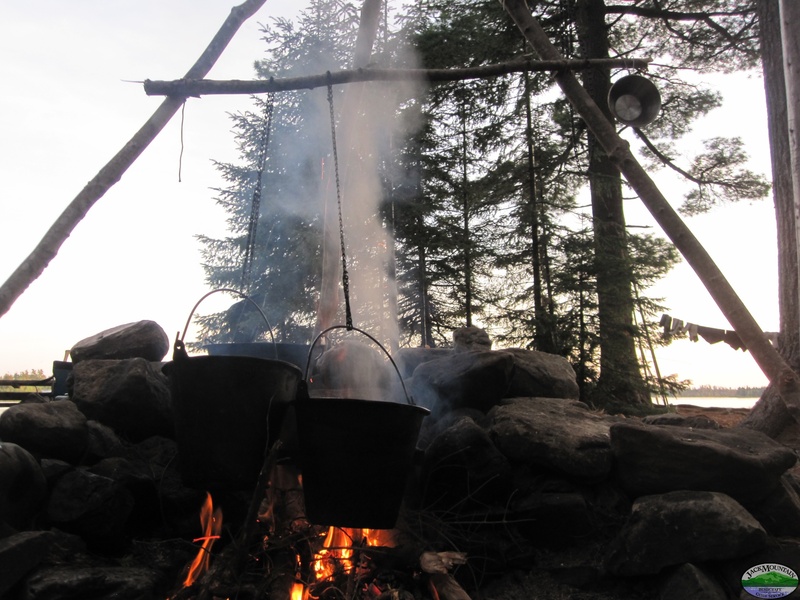 For our curriculum, we’d include the skills of living and guiding in the northern forest. 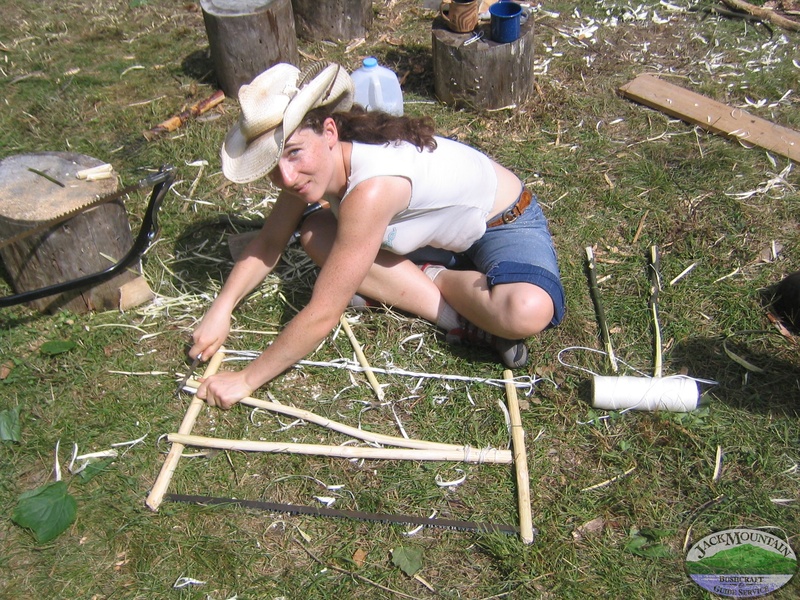 To teach them, we’d combine cutting edge educational ideas with the tested, experiential immersion styles that guides have shared with apprentices for generations. 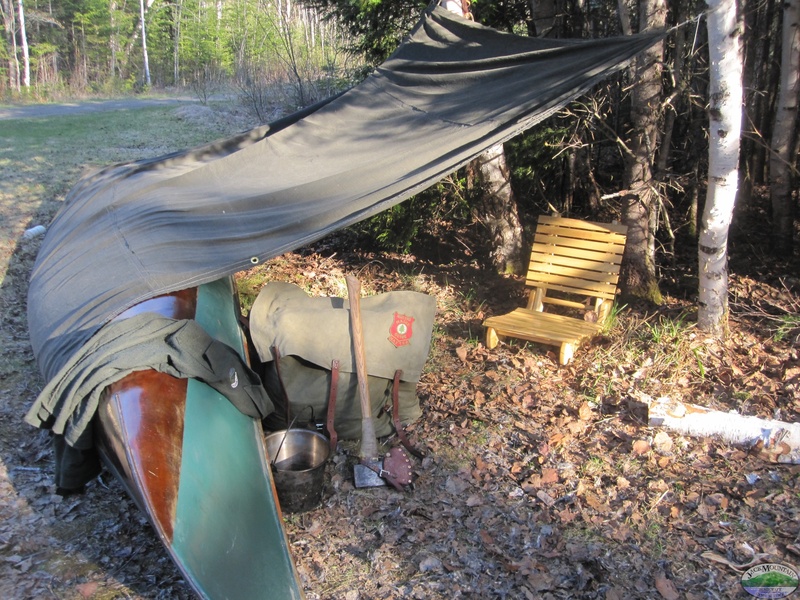 A lot has happened since that night in the wall tent. 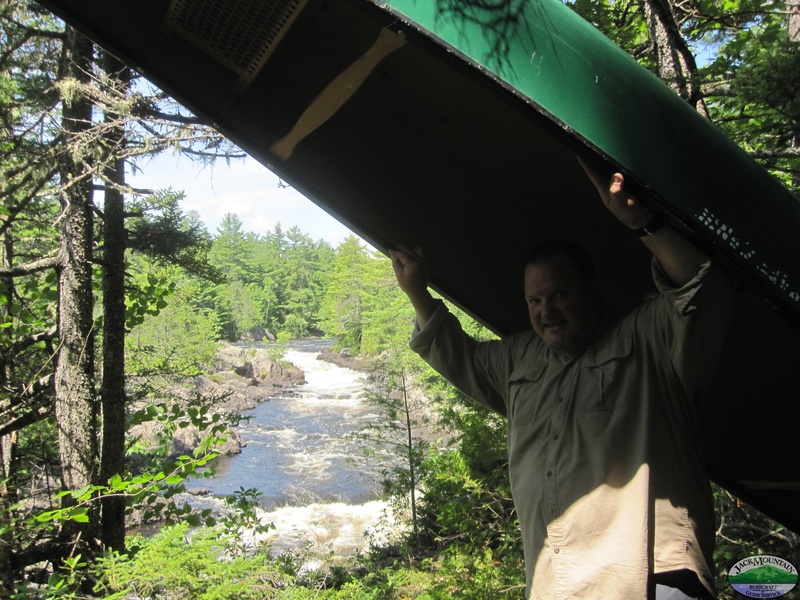 We’ve added a college credit option, worked with the Veterans administration to secure GI Bill funding for our students, worked with Americorps, been the focus of national media, and spent a lot of time in the woods and on the trail teaching and guiding. We’ve had students from around the USA, Canada, Europe, and as far away as New Zealand. 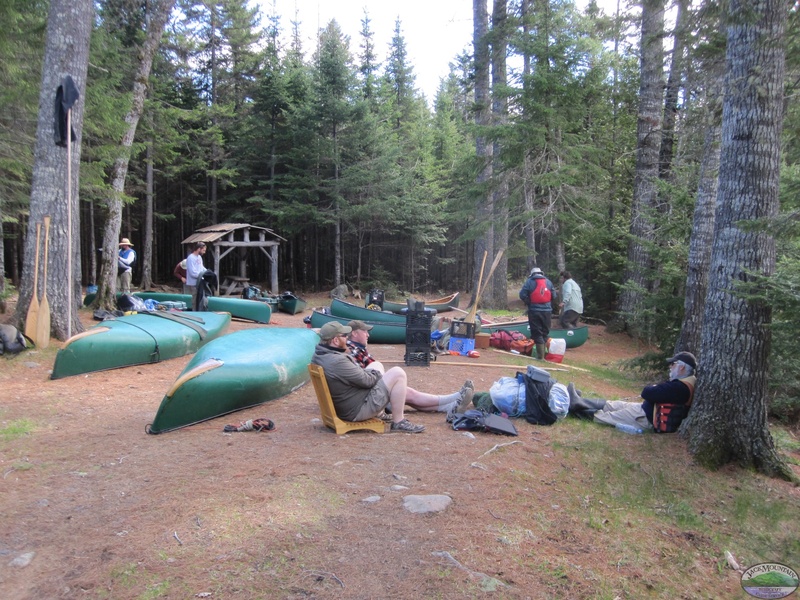 We’ve had many alumni go on to pass the state exam to become Registered Maine Guides, and to lead their own expeditions in both summer and winter. The course has changed a bit over the years. 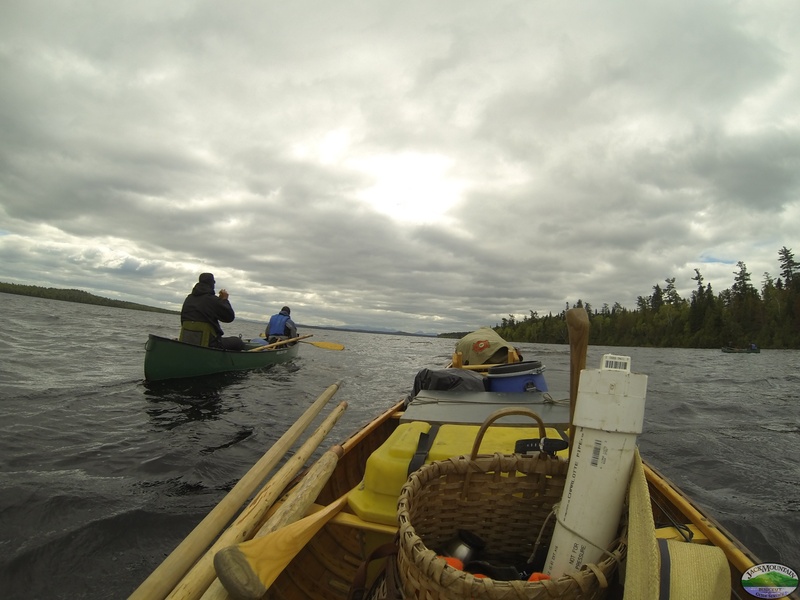 We’ve learned a lot about teaching in the field and with minimal infrastructure. But all these years later we’re still operating by the same simple guiding principle we started with; to create a course that we would like to take. Blowing a bow drill coal in a tinder bundle into a flame. 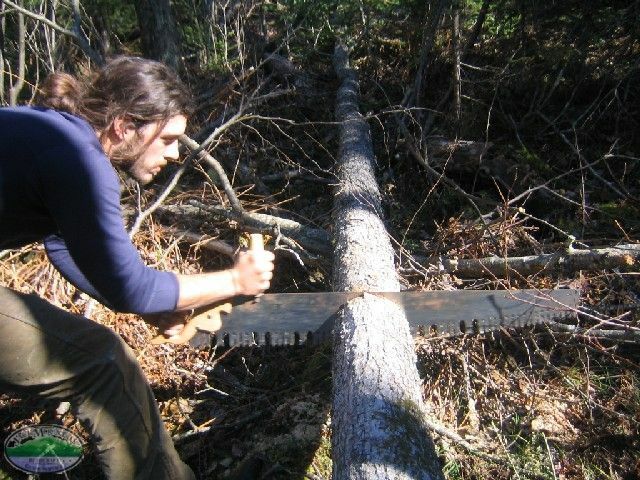 Drawing on the philosophies of bushcraft we’ve developed over almost 20-years of field courses, the traditions of Maine Guides that go back generations, the Cree concept of miyupimaatisiium (translated as “being alive well”) and the Scandinavian idea of friluftsliv (translated as “open air life”), the following seven elements comprise the components of our semester and yearlong programs. 1. Skill – Learn by doing. Too much of modern education is theoretical, abstract and sedentary, where the head is engaged but the hands are not. 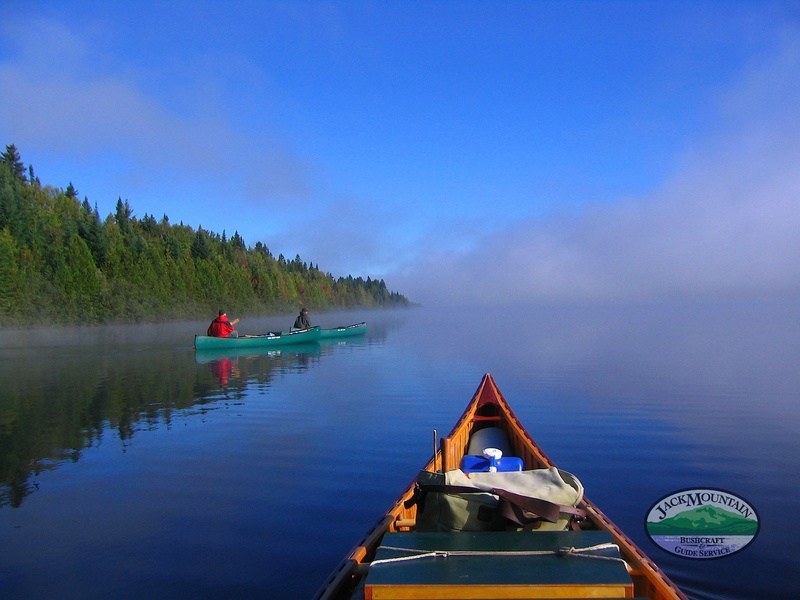 We depart from that norm with a tangible, hands-on approach that emphasizes being an active participant in the natural world and in life. 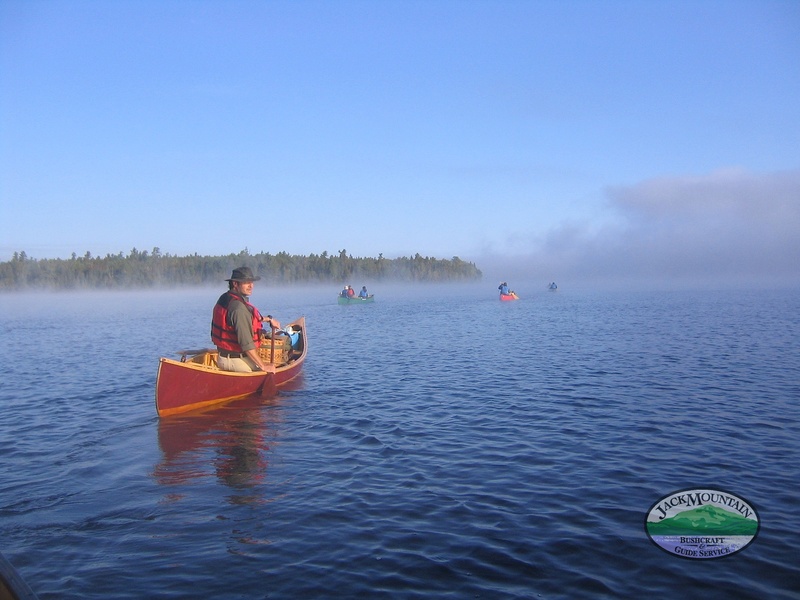 Our 21-point curriculum focuses on necessary skills for the professional outdoors person. 2. 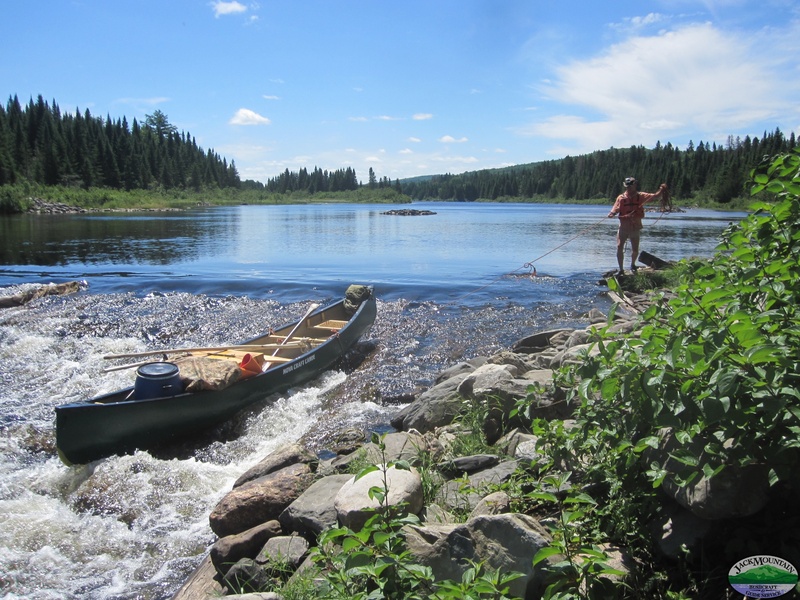 Journey – Travel through remote parts of the north woods alongside professional guides, directly experiencing what you’re learning. Live in the bush for extended lengths of time where the focus isn’t simply how-to, but living with efficiency and grace that come with extensive experience. 3. 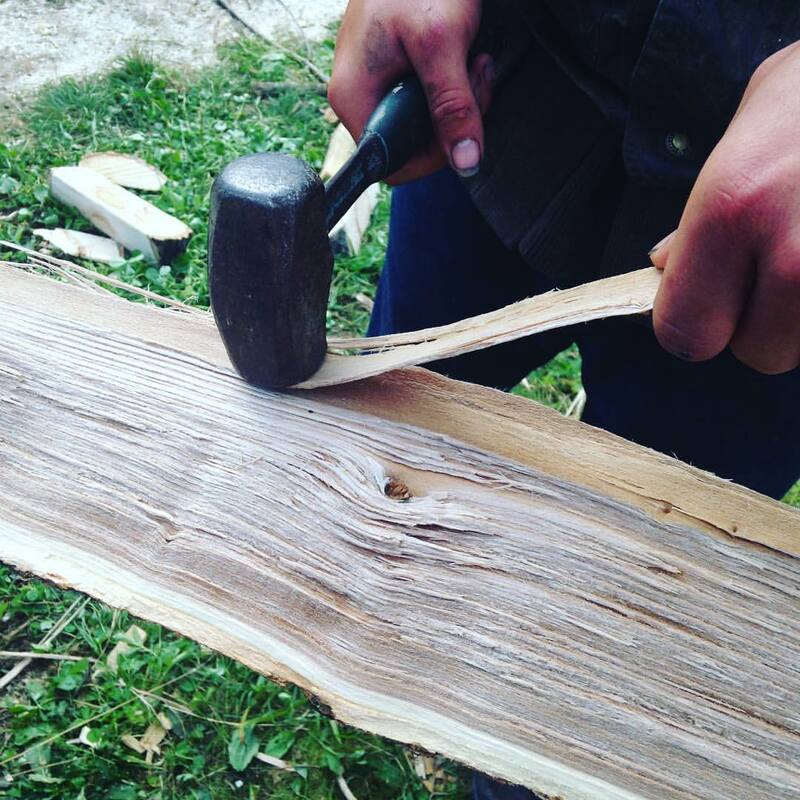 Craft – Explore the world with your hands. 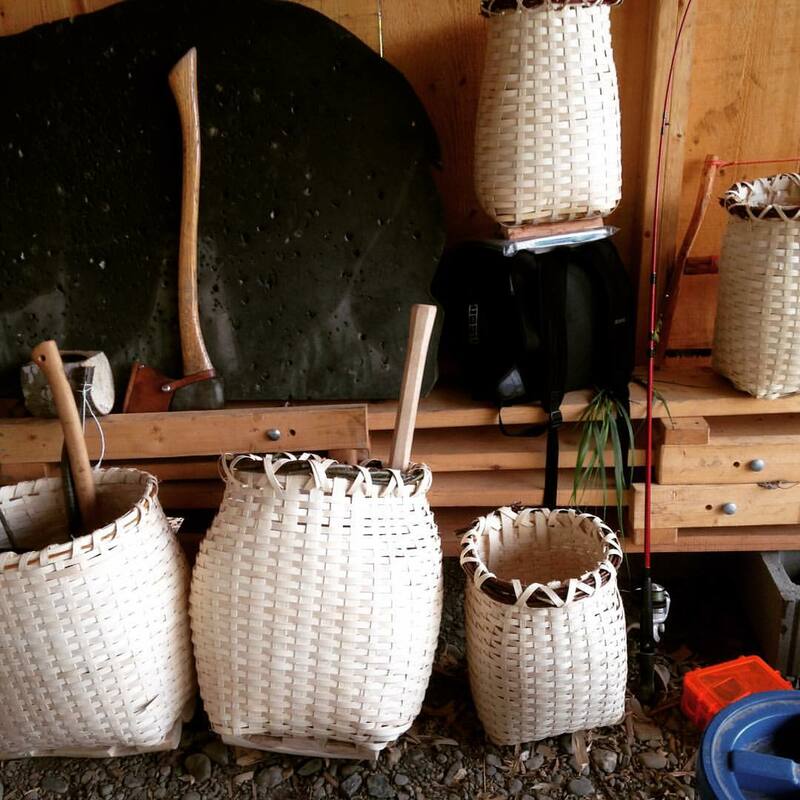 Build useful items from materials gathered on the landscape. Man needs tools to live. 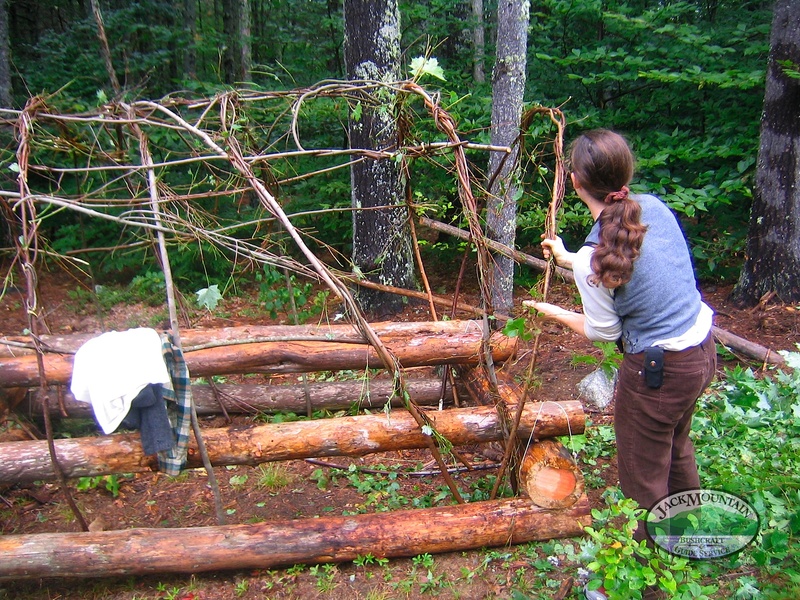 Making these necessary items from materials gathered from the landscape bonds you to the land and makes you self-reliant. 4. Nature – Learn the language of the world around you. 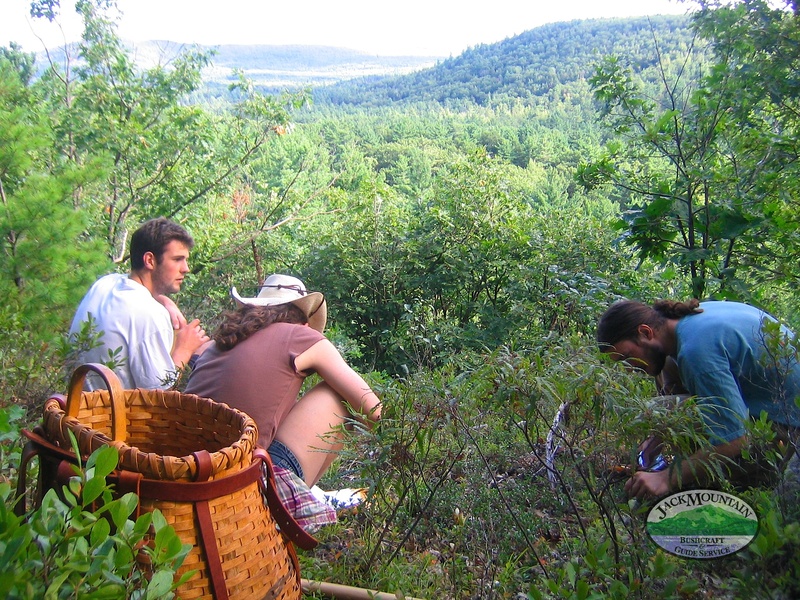 Study the weather, edible/medicinal plants, fungi, mammals and their tracks, birds, fish, mollusks, insects, amphibians, reptiles, rocks, minerals, soil, water, ice, celestial bodies and ecology. 5. Culture – Culture is the human element, or soft skills, which make or break an expedition. 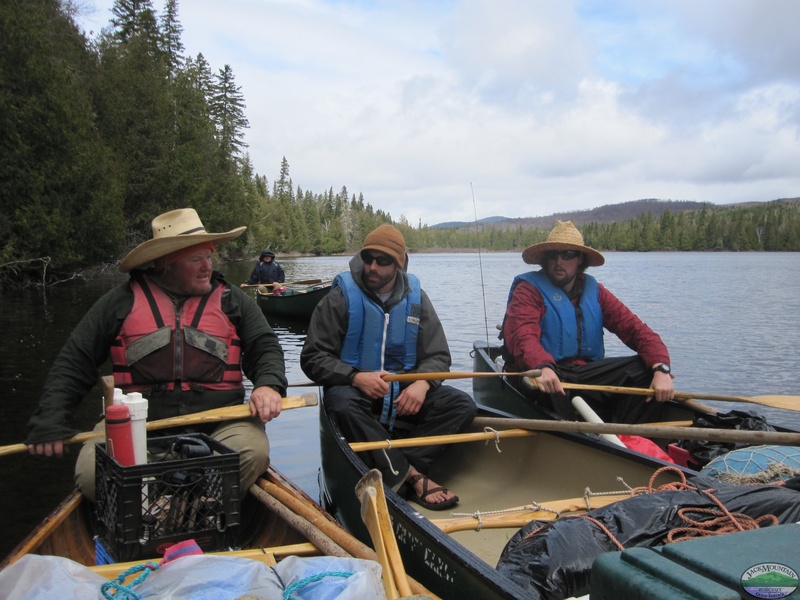 Learn management and leadership skills crucial to the professional guide and outdoor leader, as well as how to instruct effectively. 6. 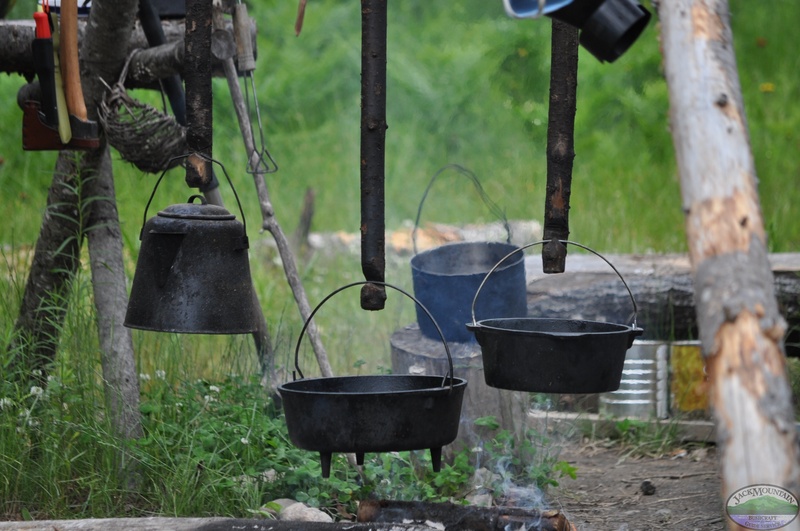 Sustainability – Life is different with minimal infrastructure. Learn the techniques of living a simple, low-tech life with minimal inputs by living them every day. Compost everything that will rot, grow food, reuse and repurpose resources, care for the land and leave it healthier for future generations. 7. Self – Learn your specific needs and boundaries. In a world of generalizations, it’s important to know exactly what you need to function well. How much sleep do you need to function? How much water? 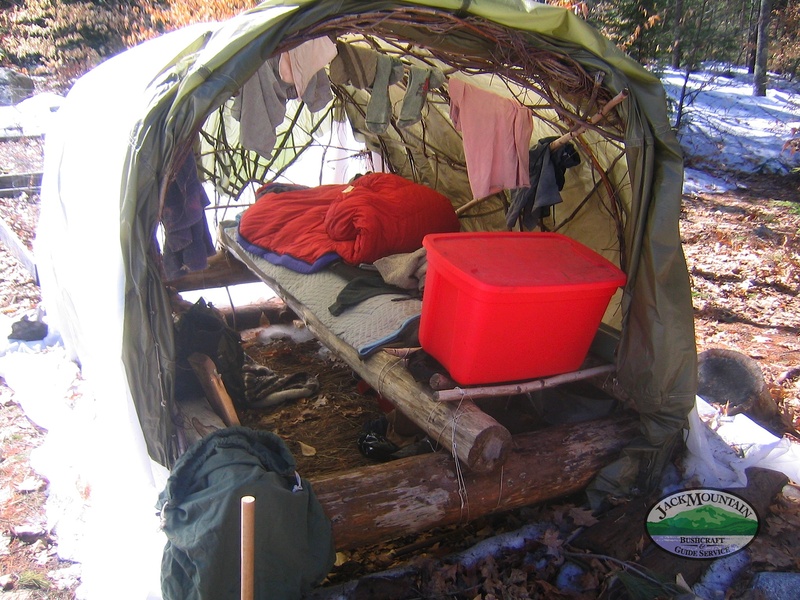 How much of a bed do you need to make in order to sleep well? This is about intimately knowing yourself and what you need to do to keep your body alive and well. The only way to learn it is to live it.